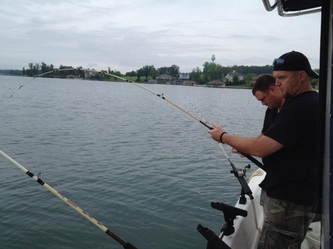 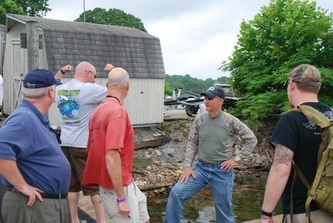 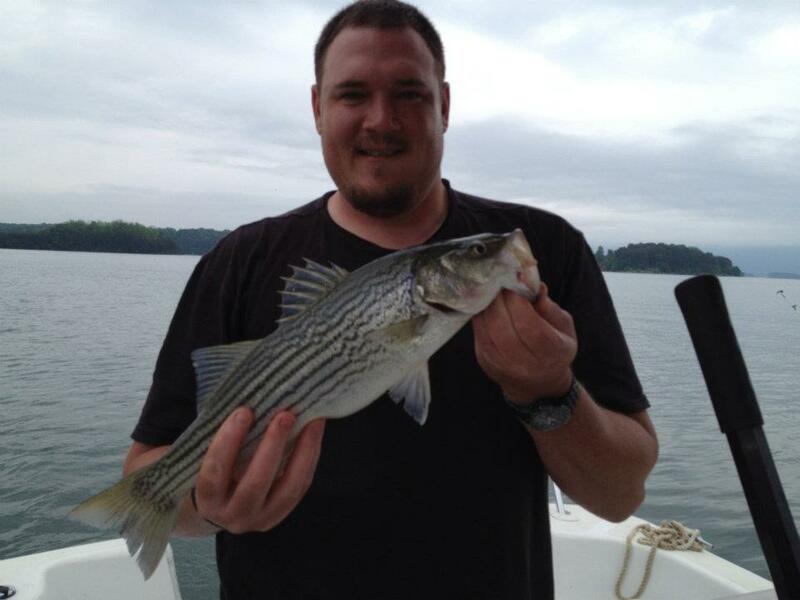 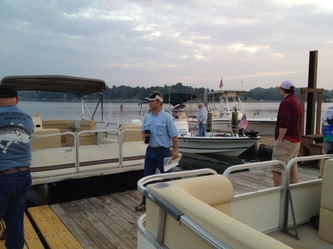 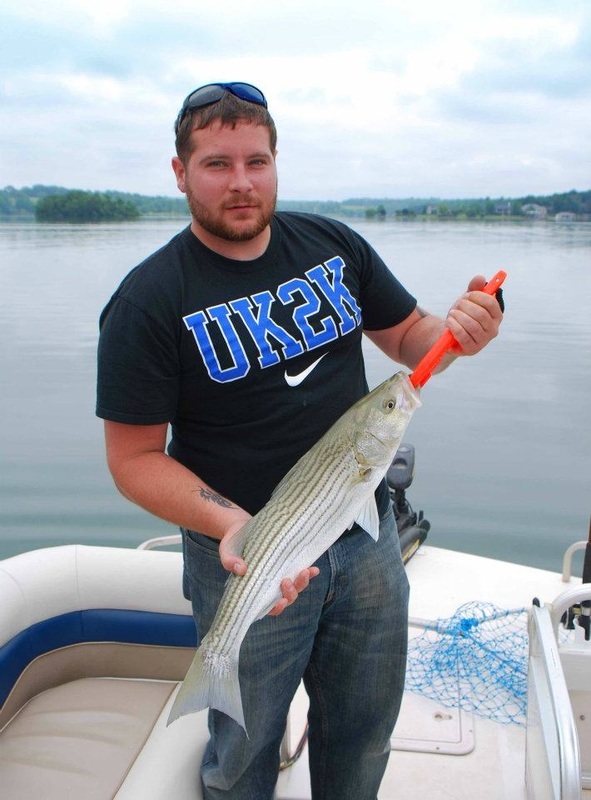 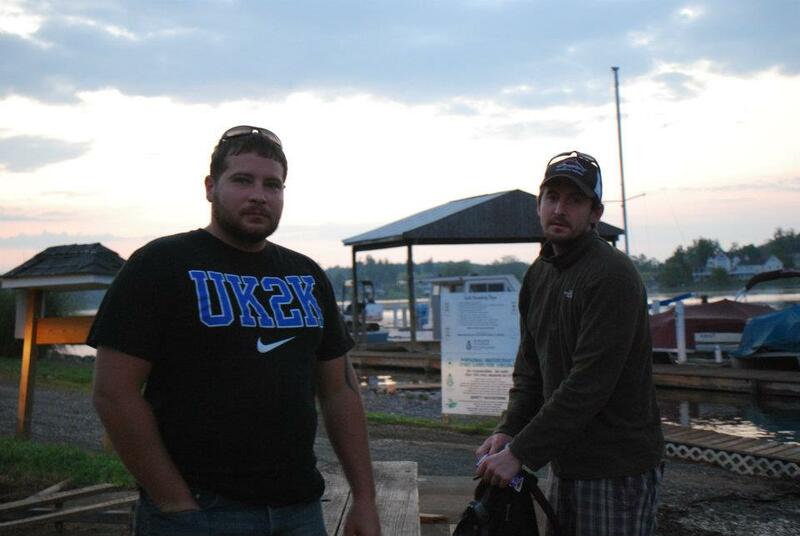 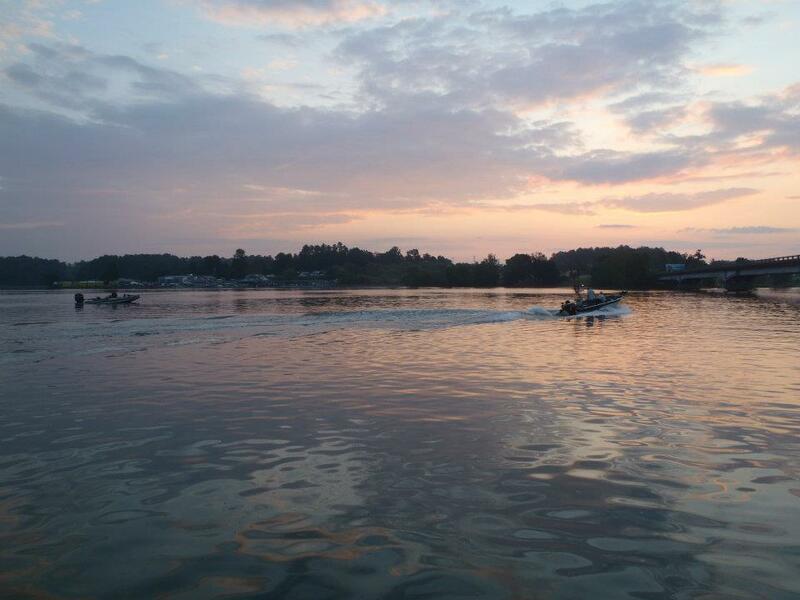 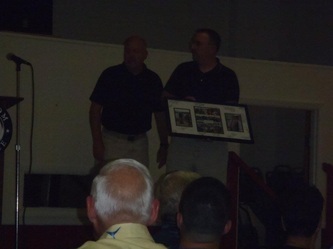 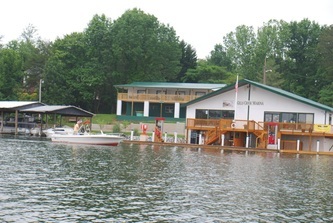 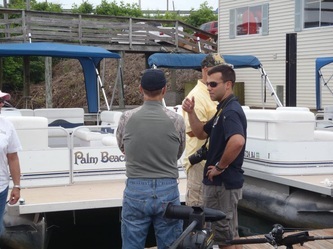 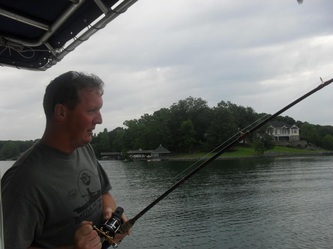 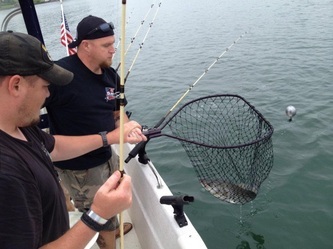 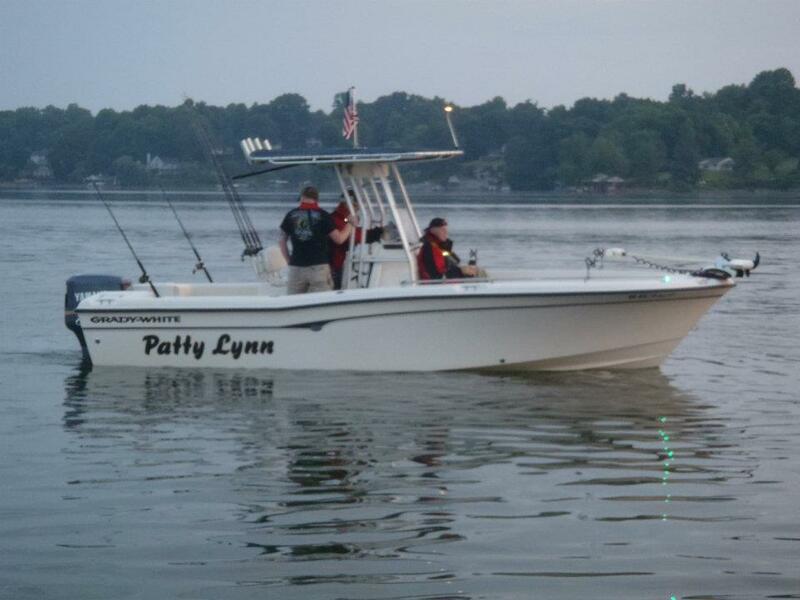 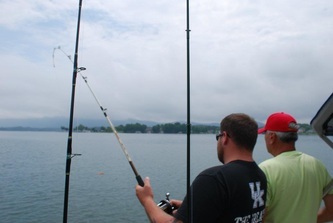 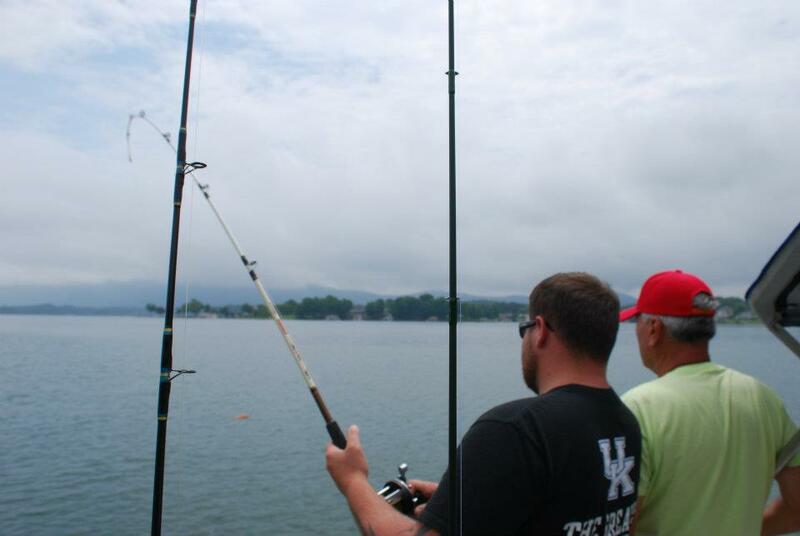 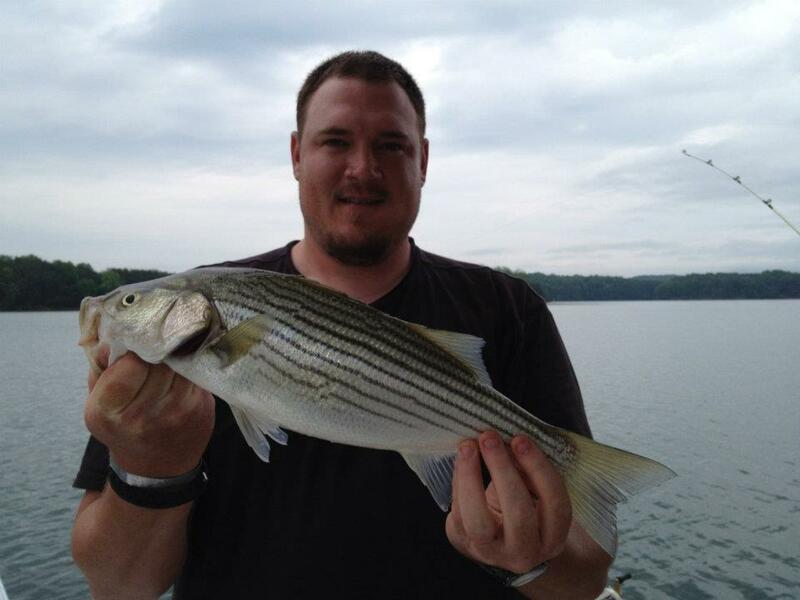 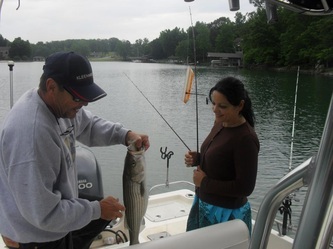 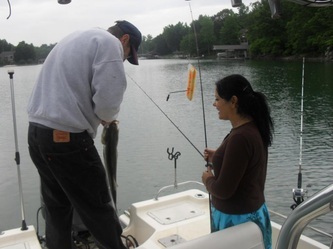 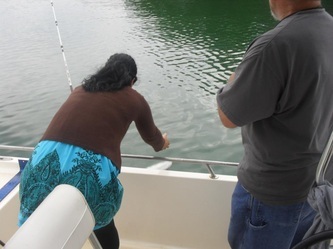 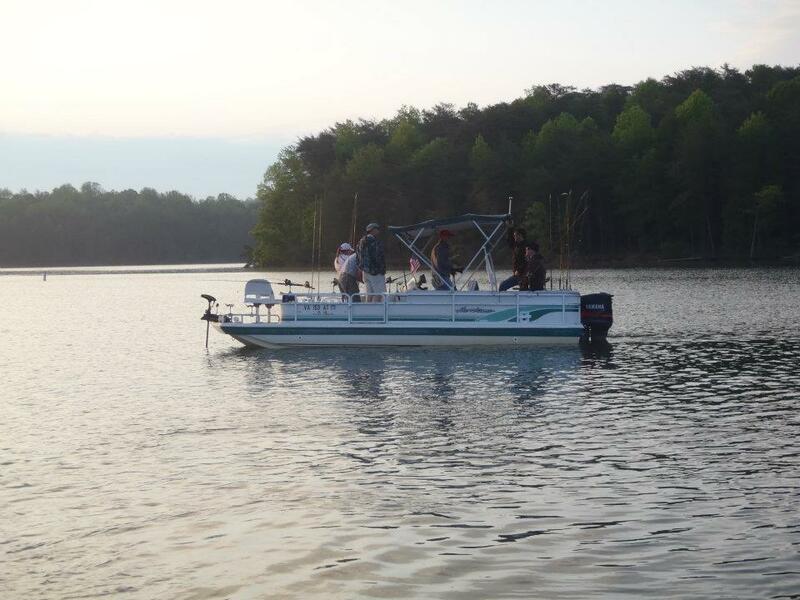 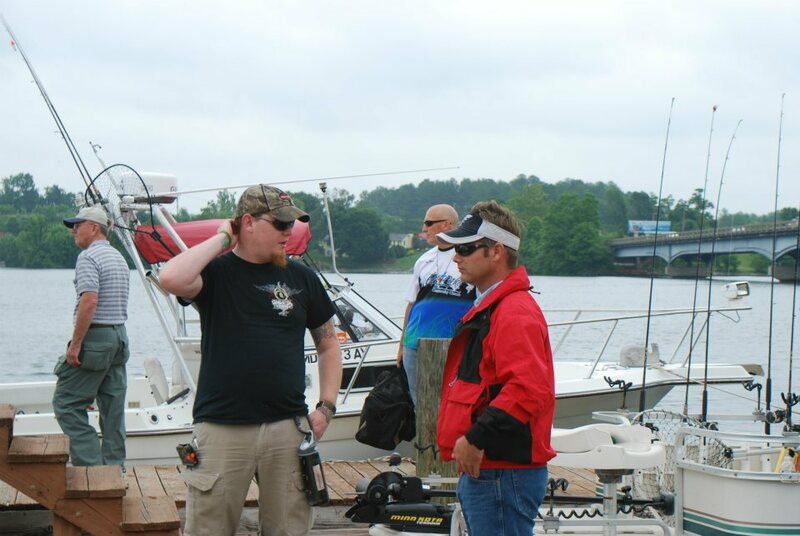 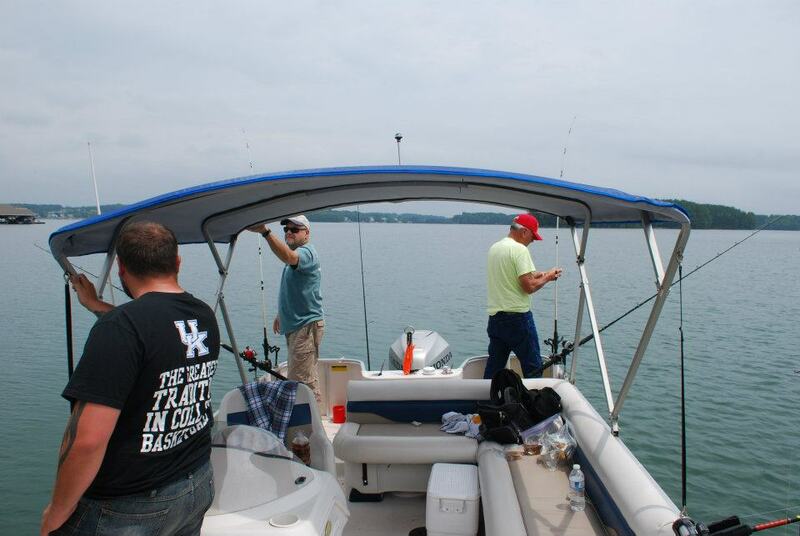 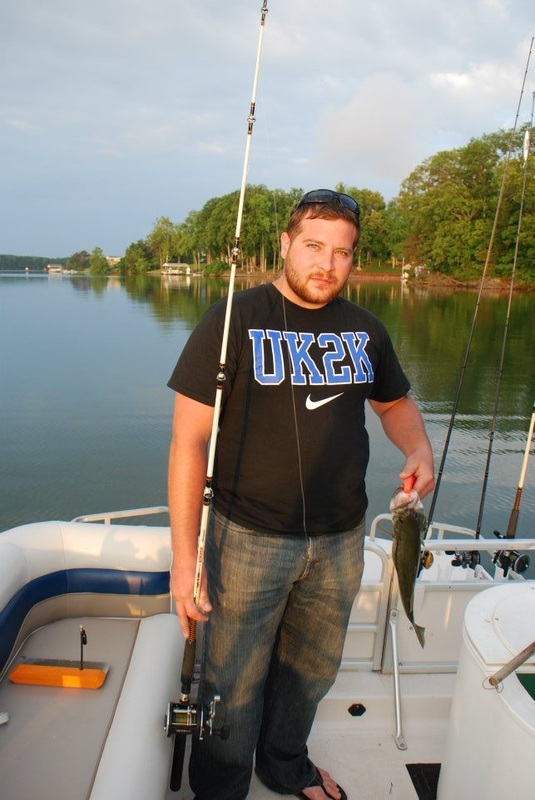 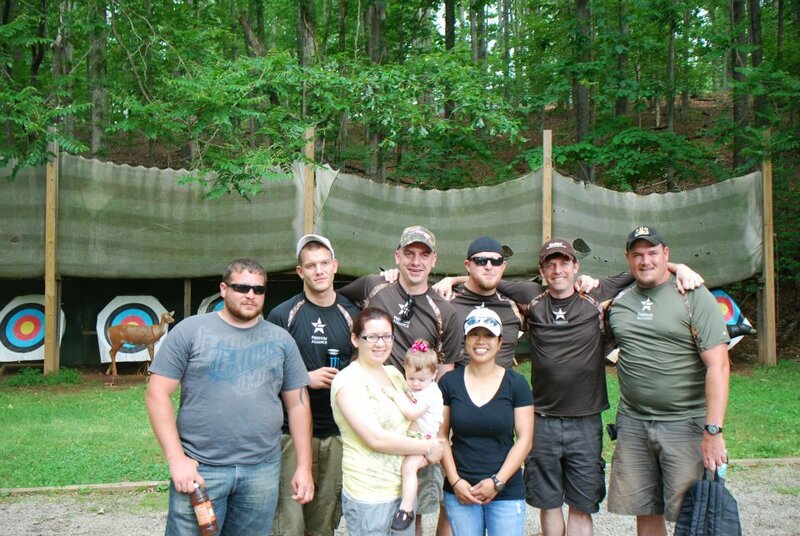 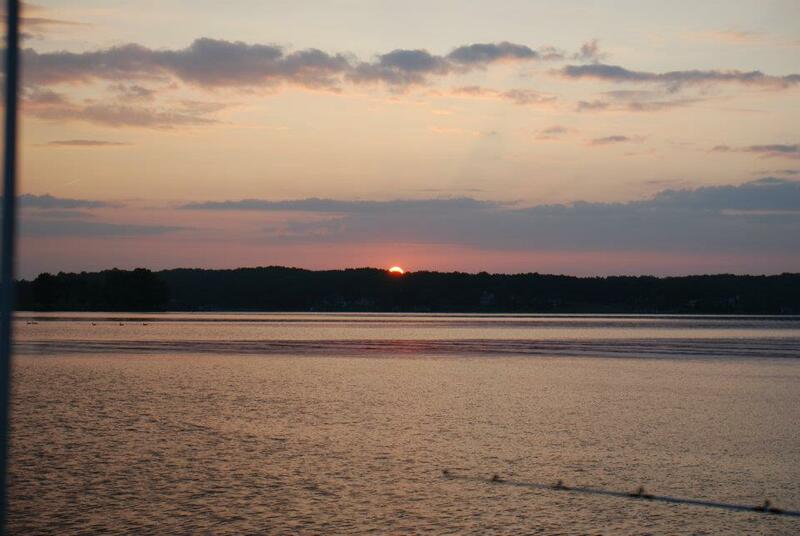 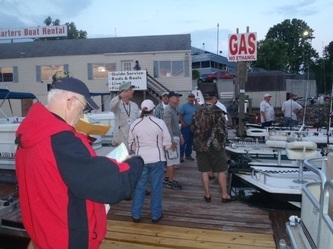 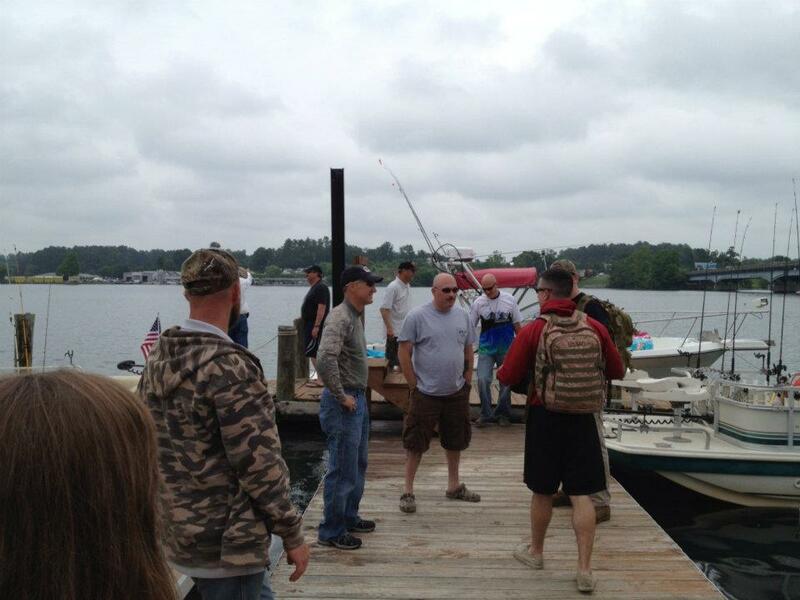 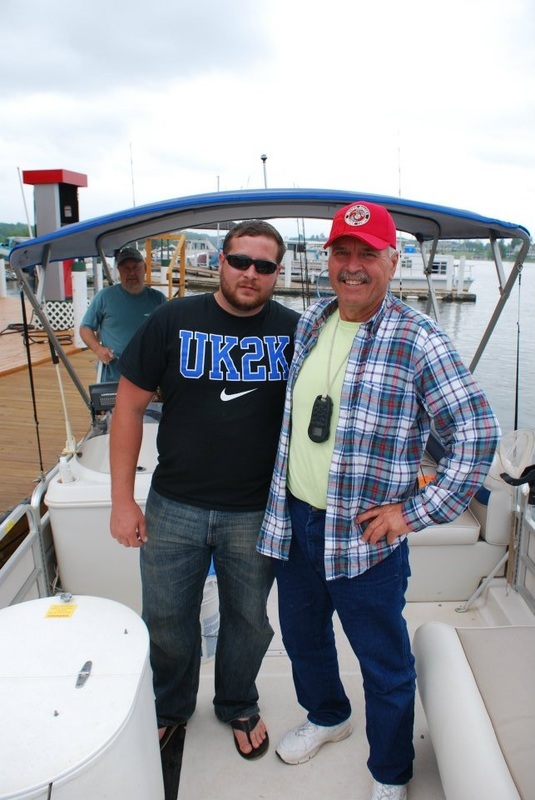 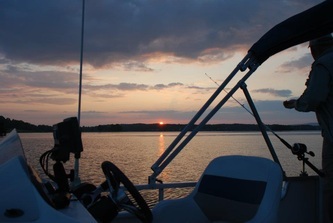 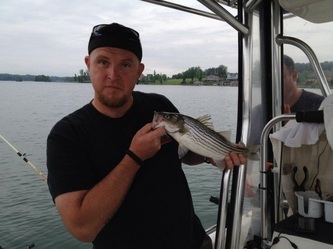 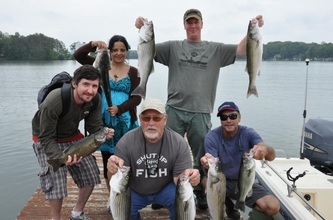 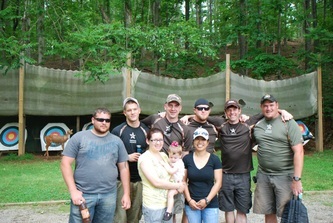 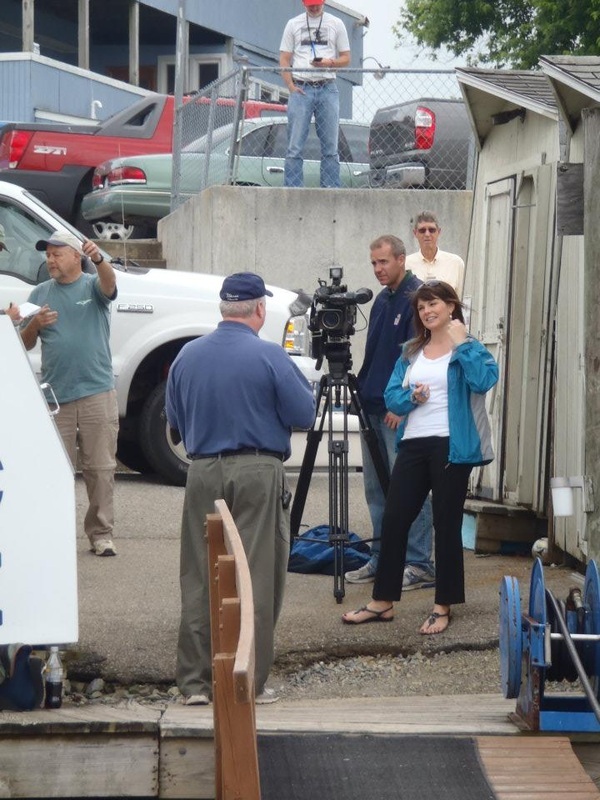 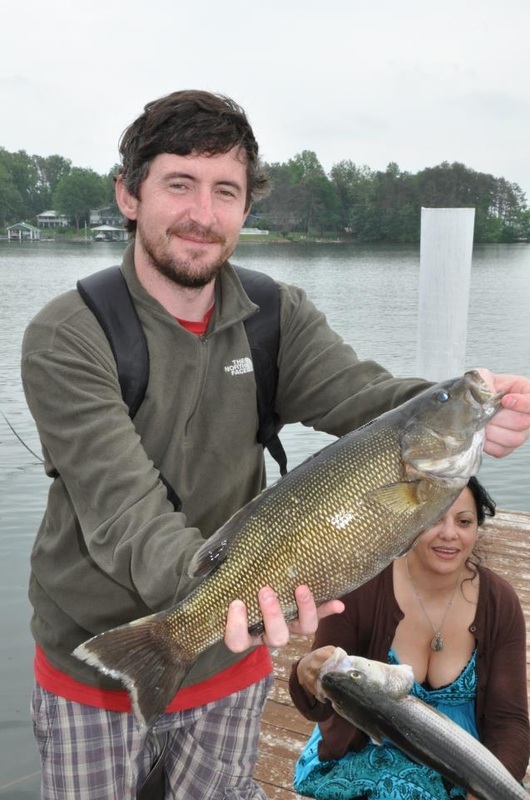 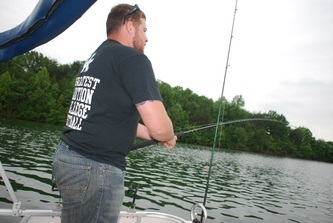 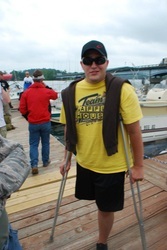 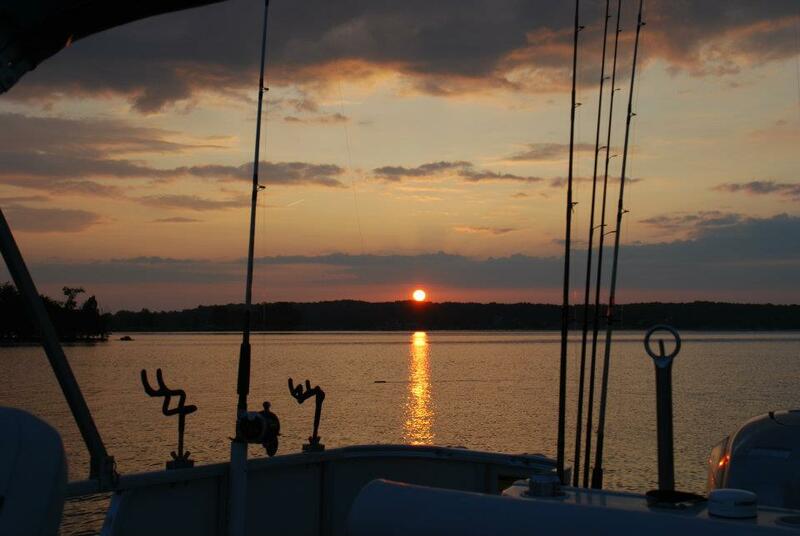 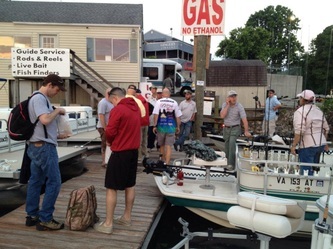 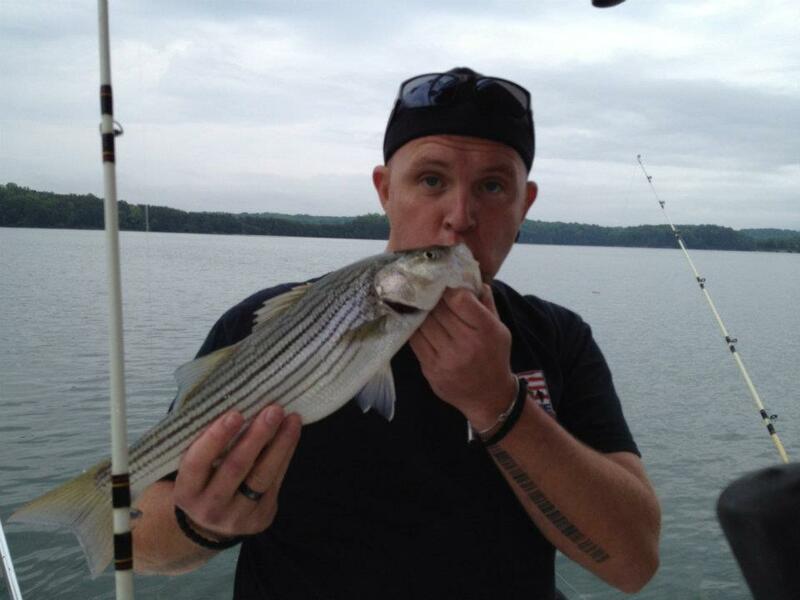 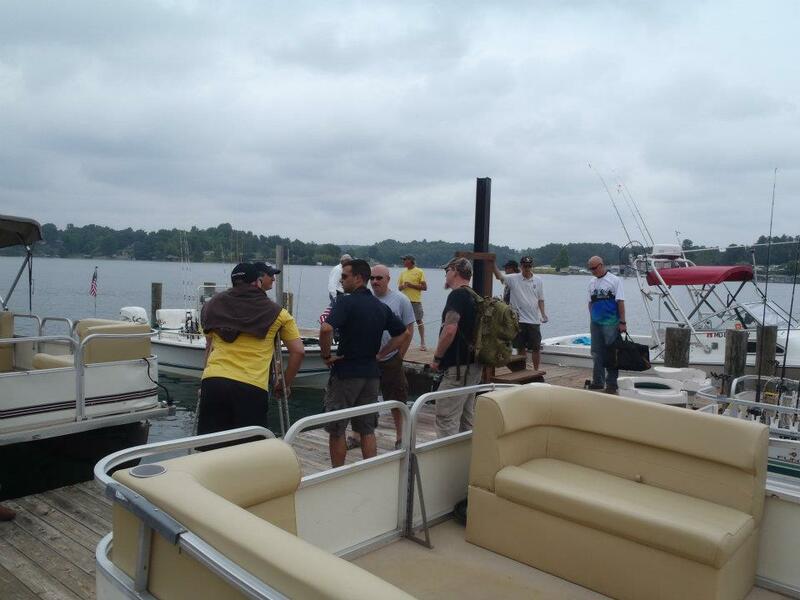 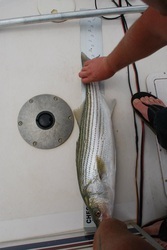 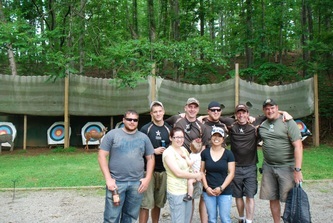 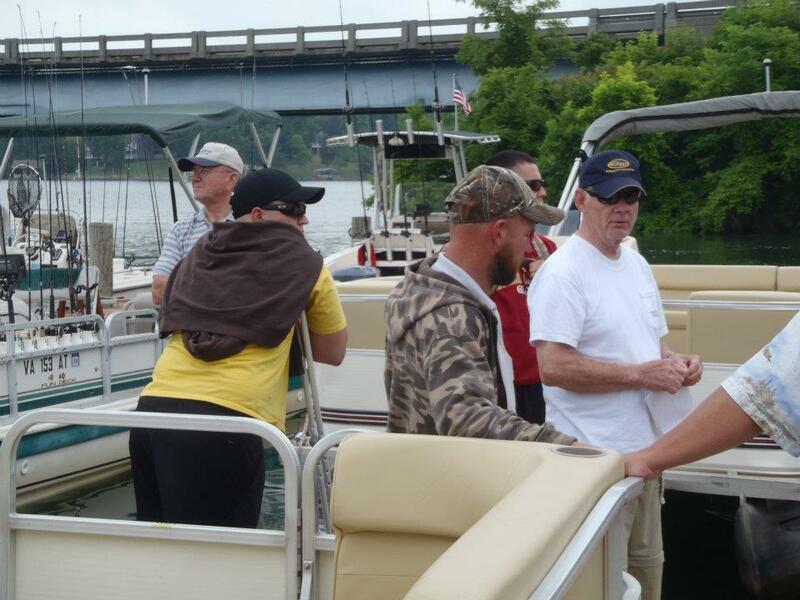 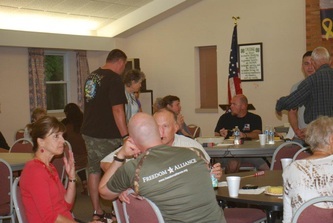 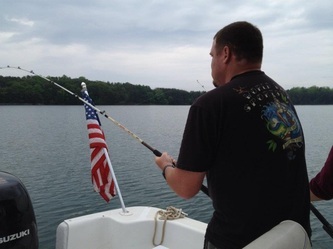 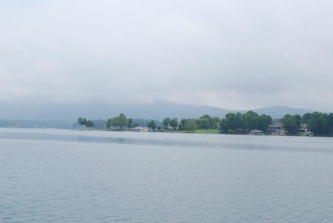 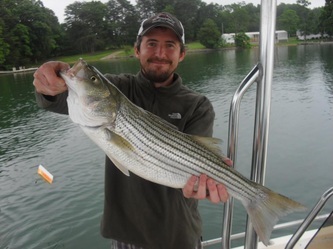 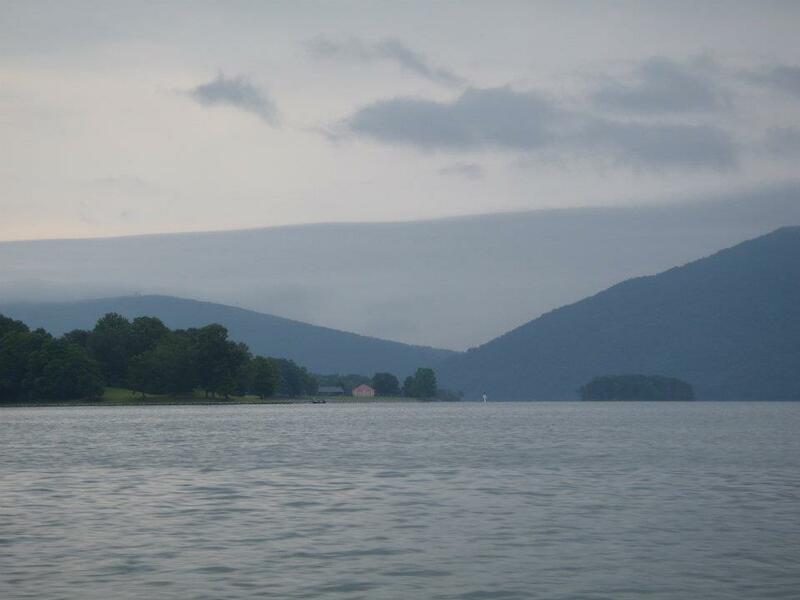 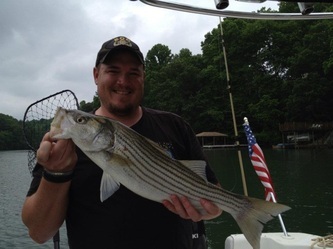 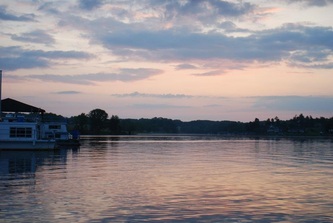 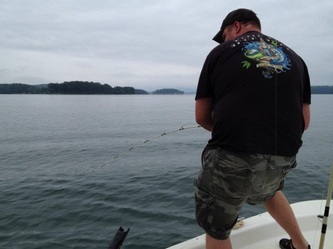 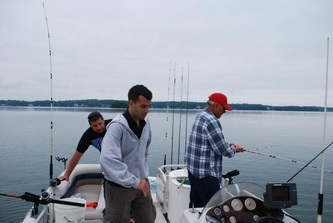 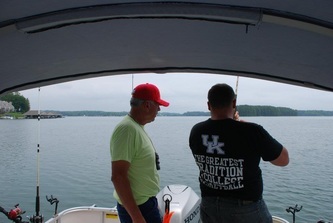 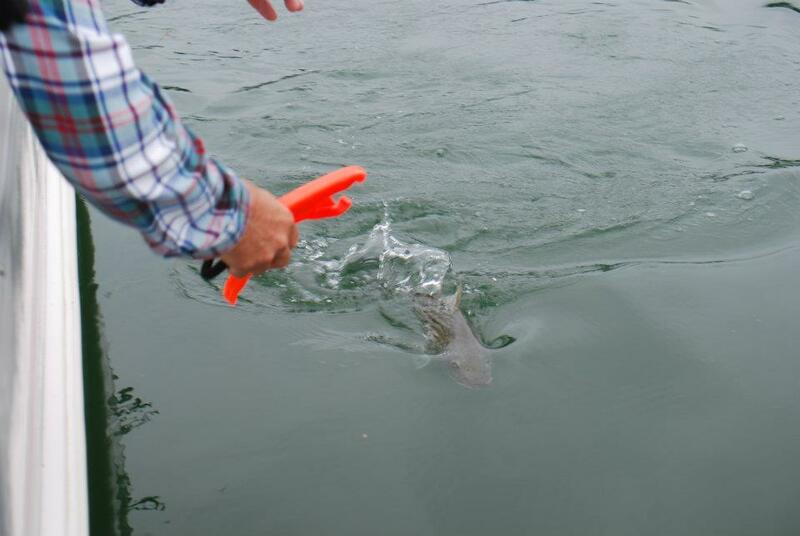 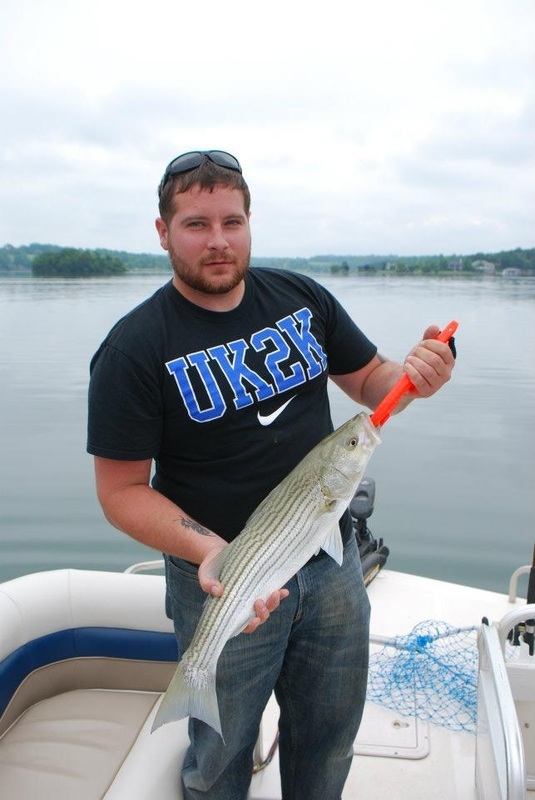 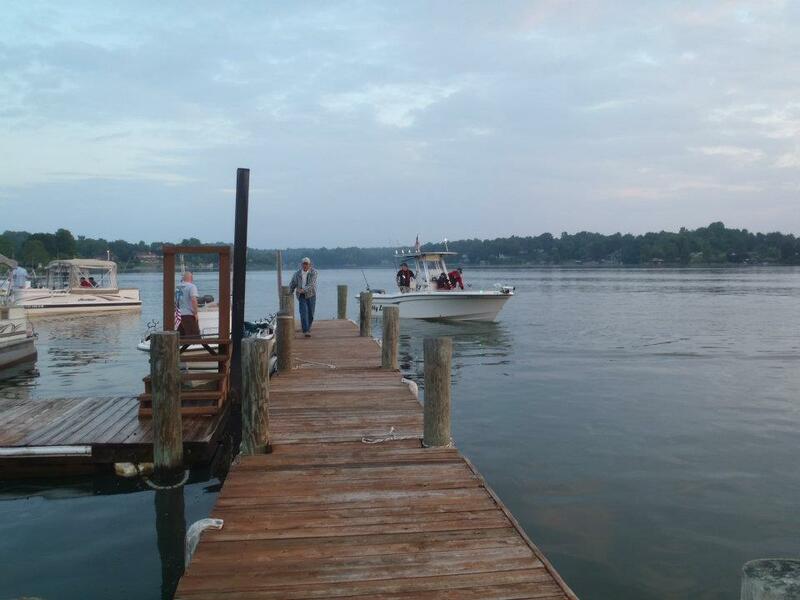 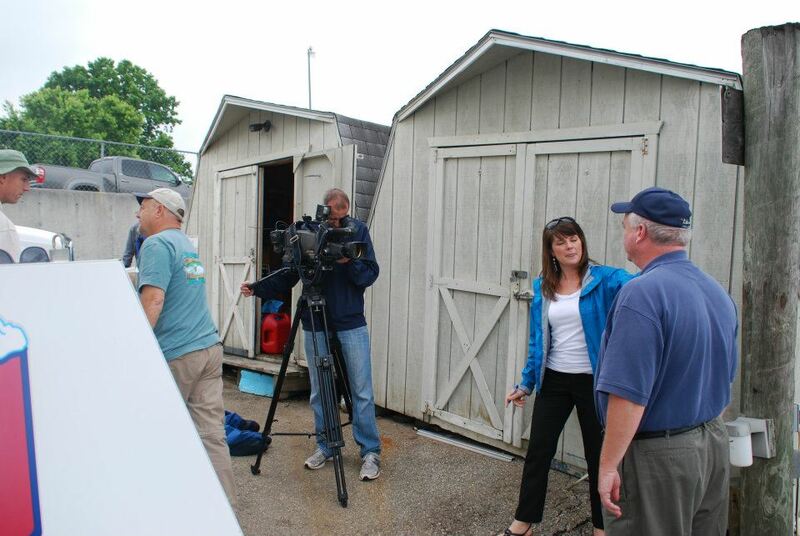 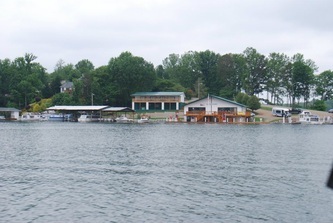 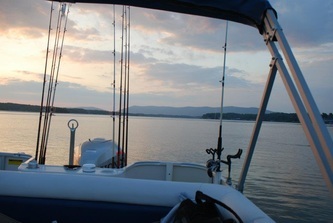 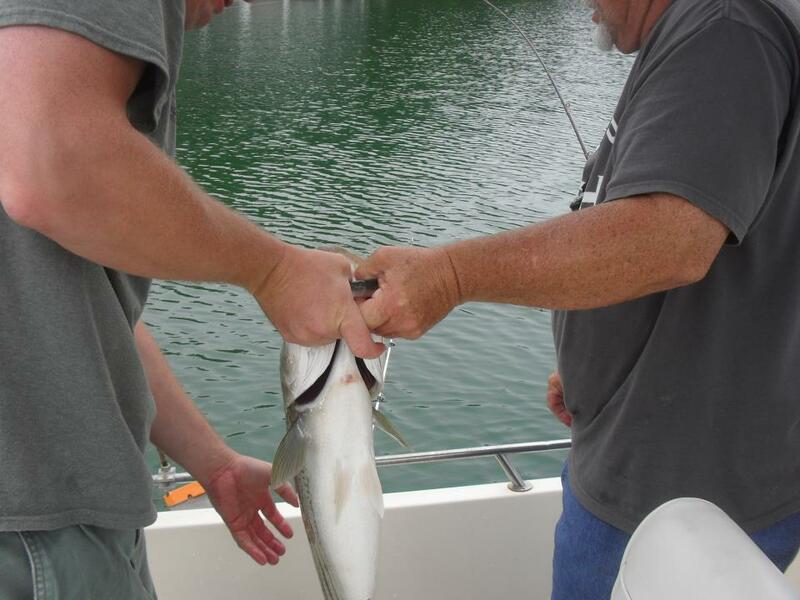 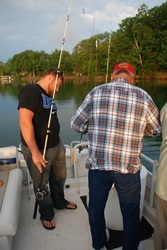 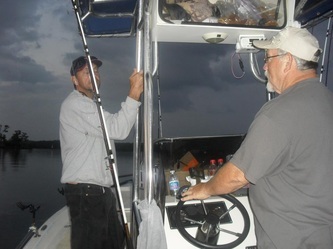 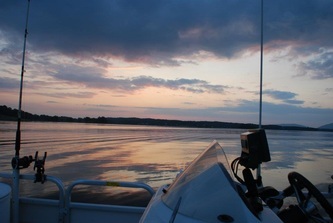 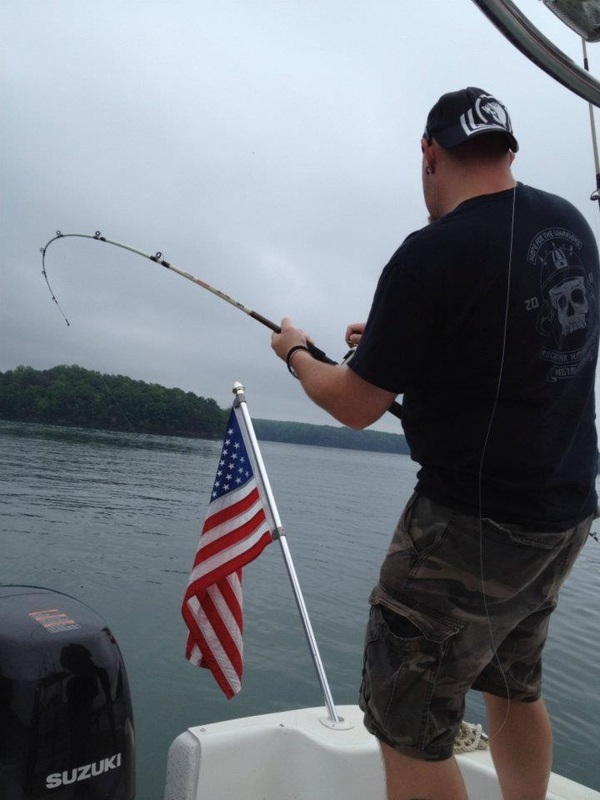 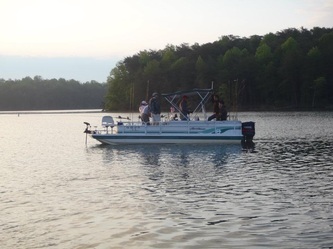 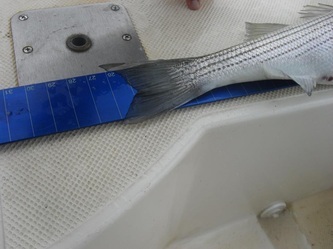 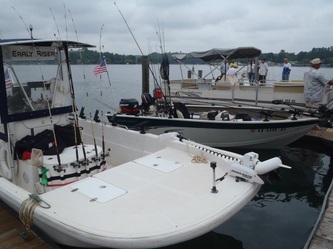 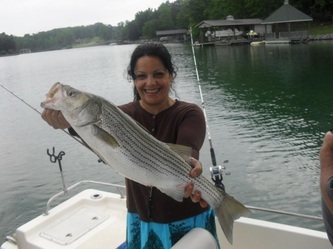 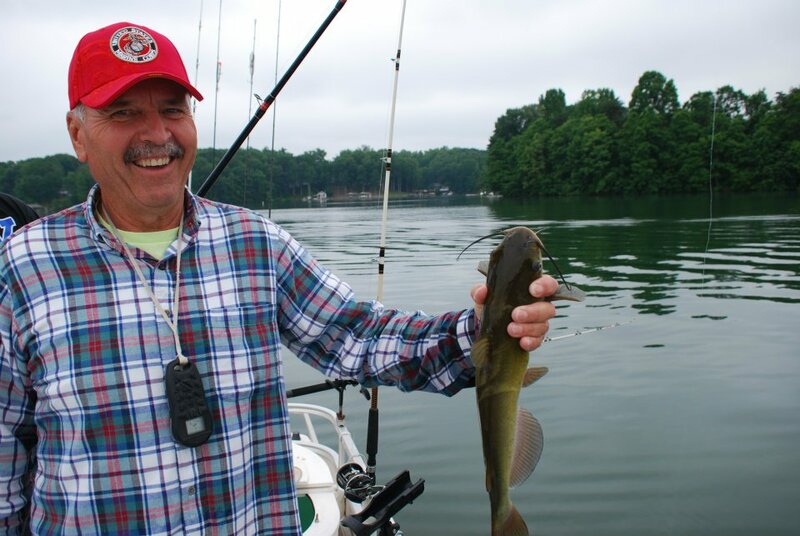 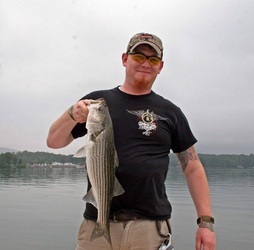 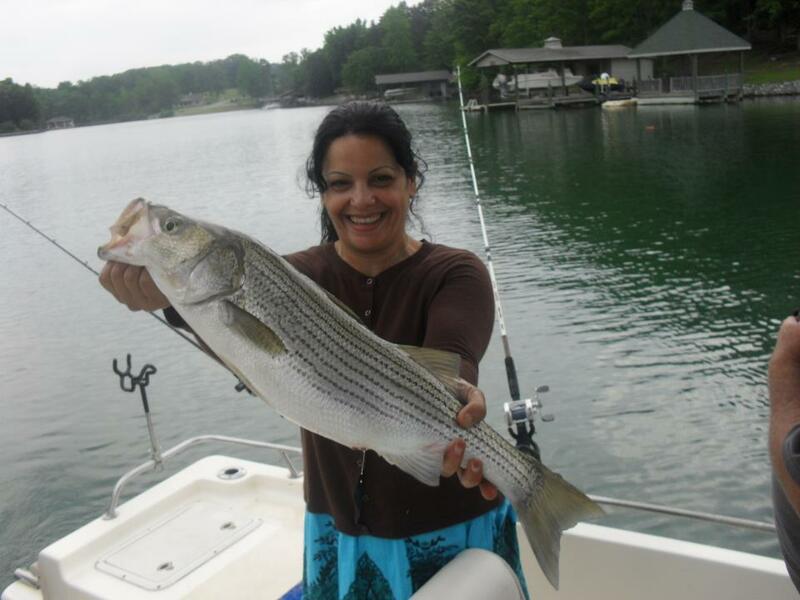 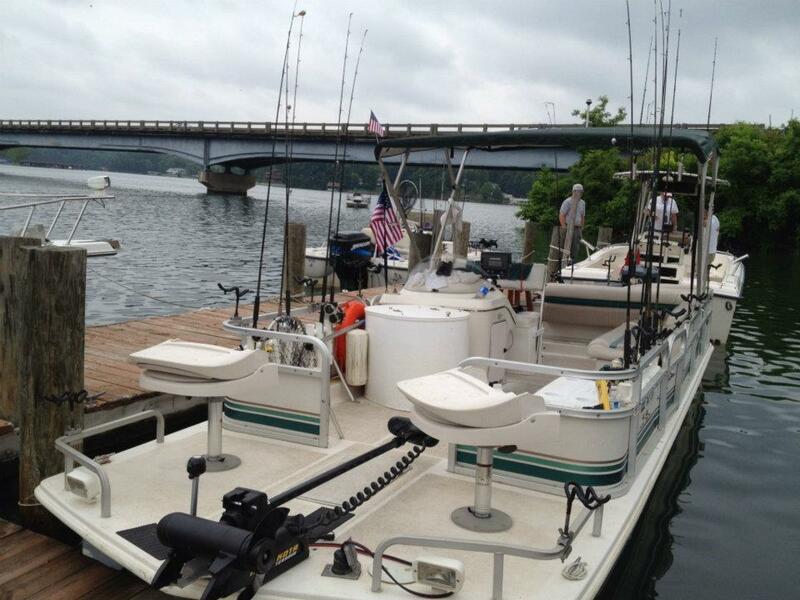 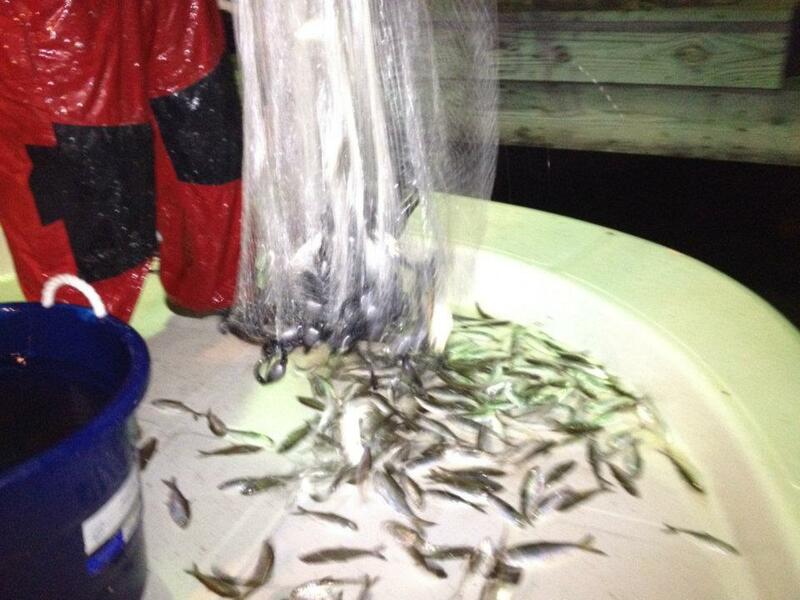 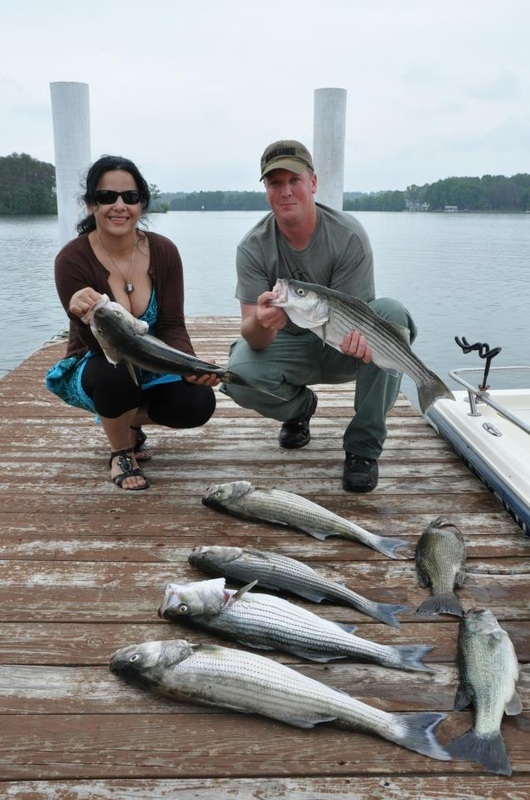 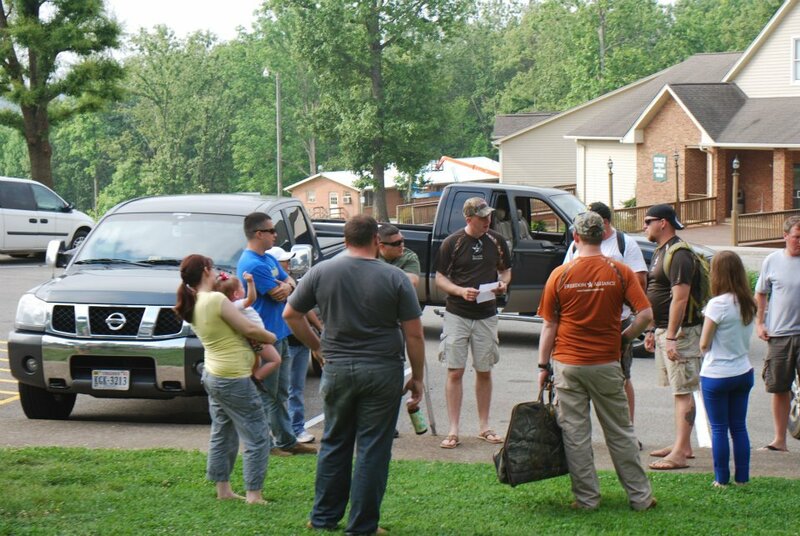 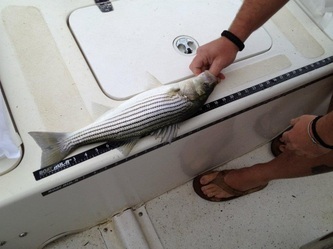 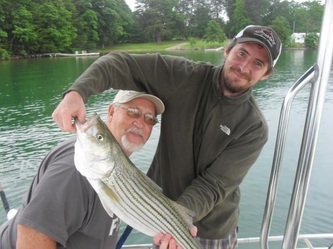 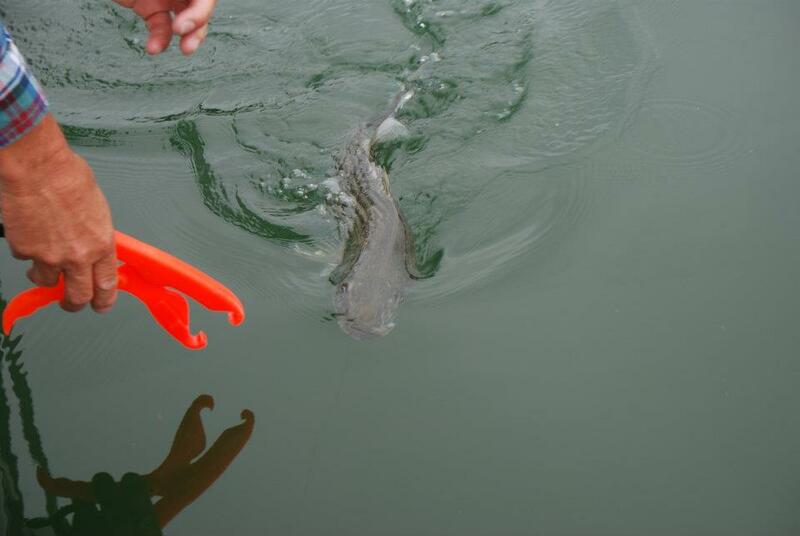 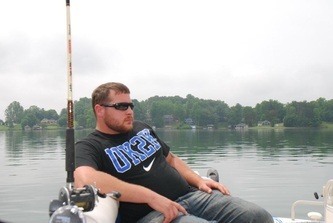 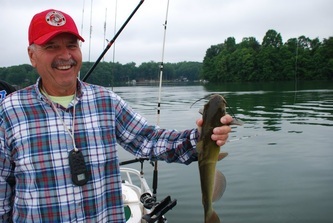 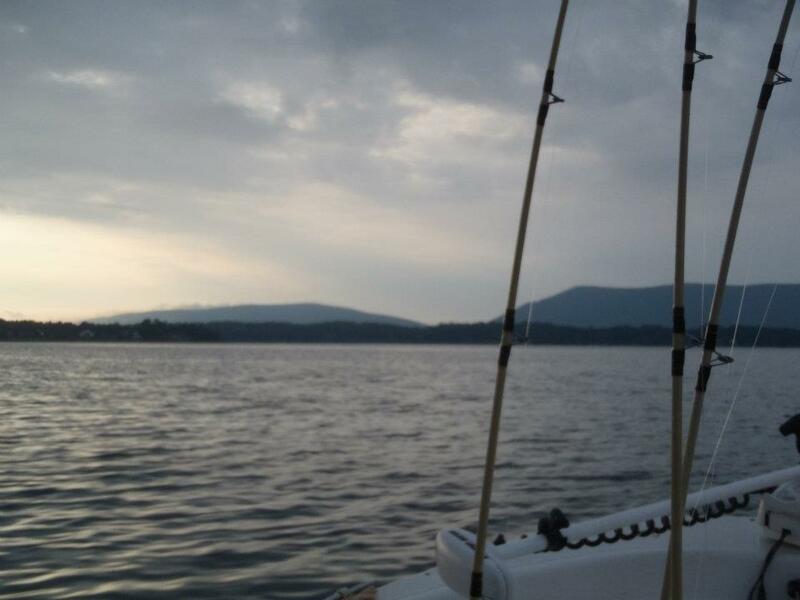 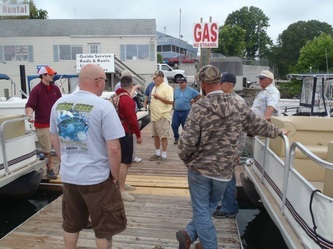 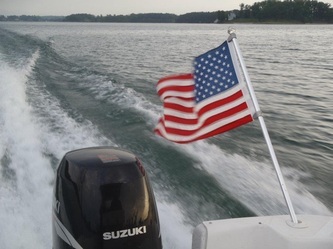 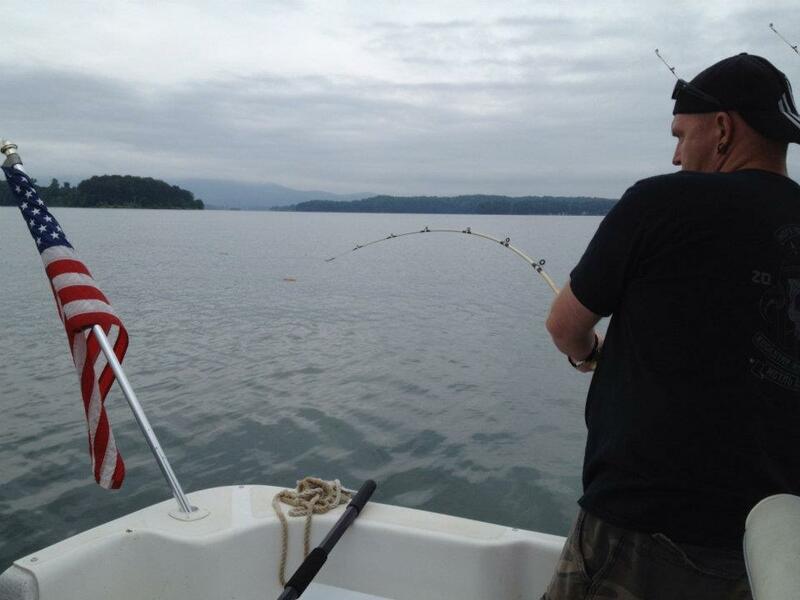 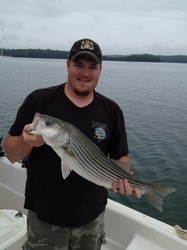 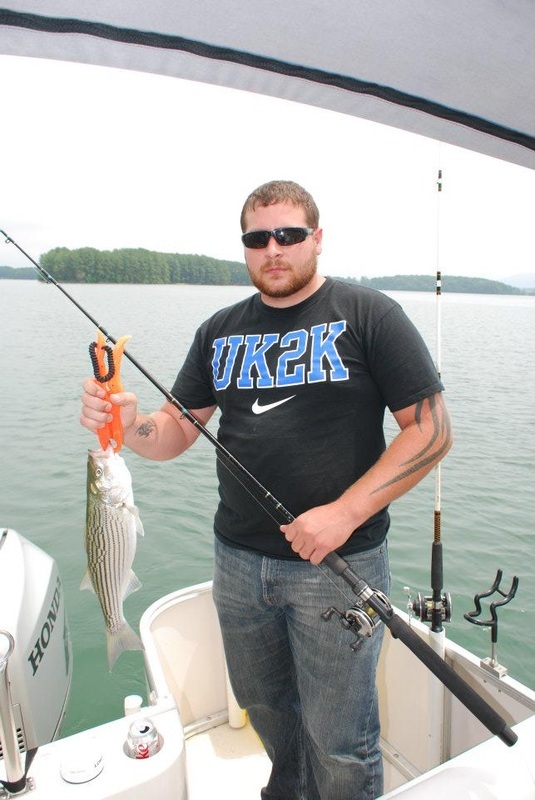 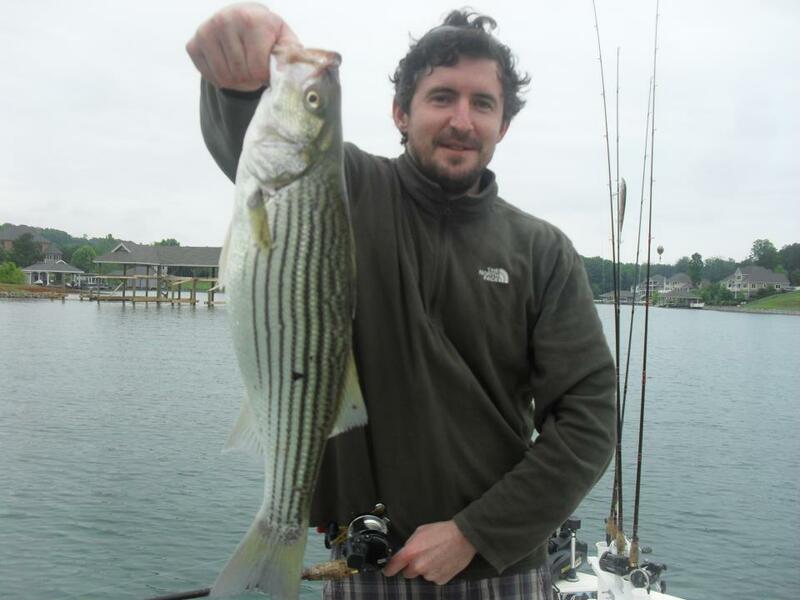 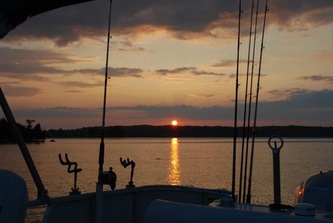 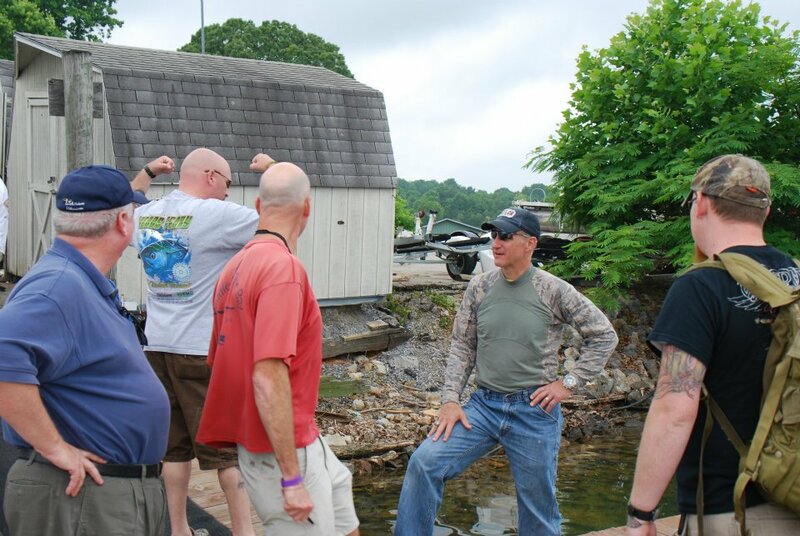 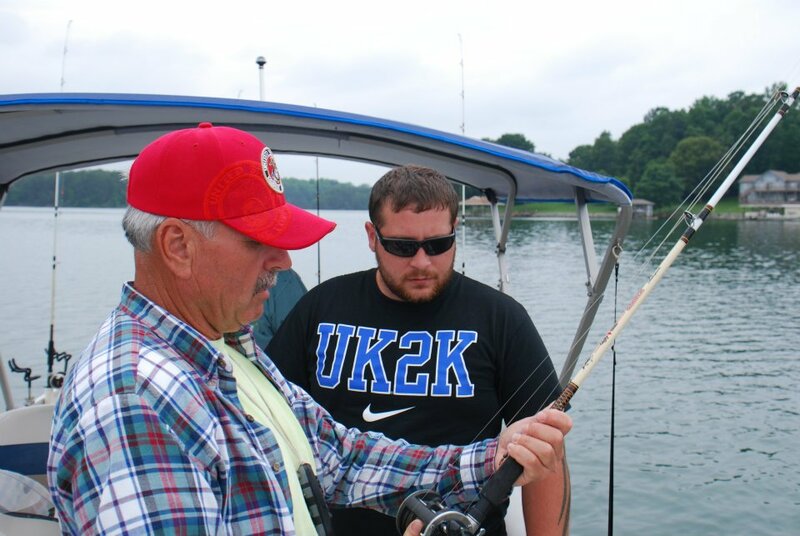 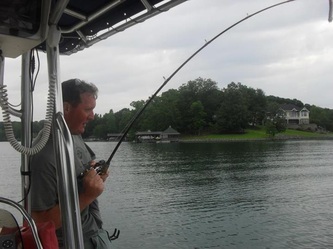 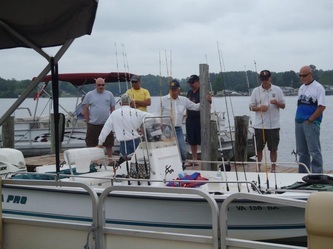 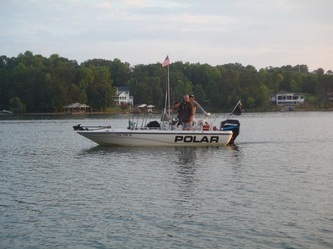 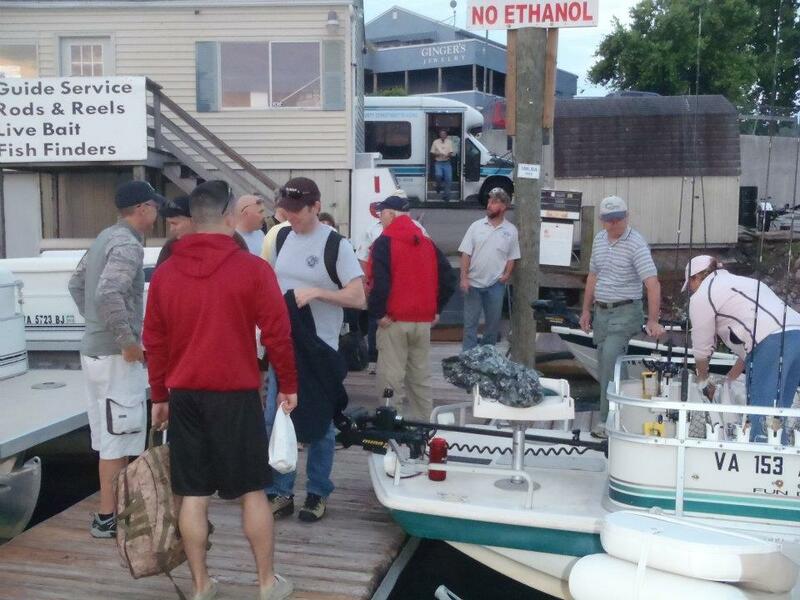 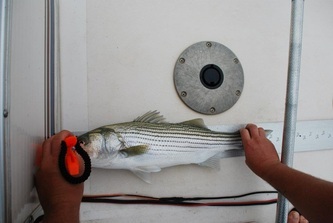 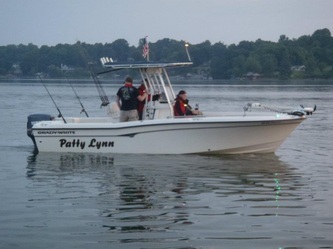 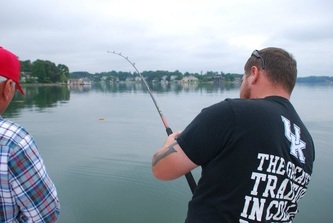 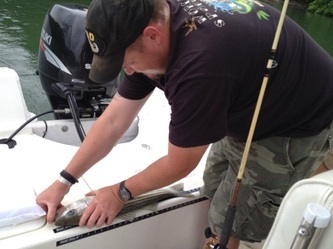 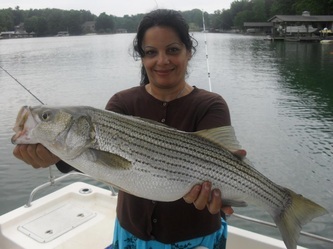 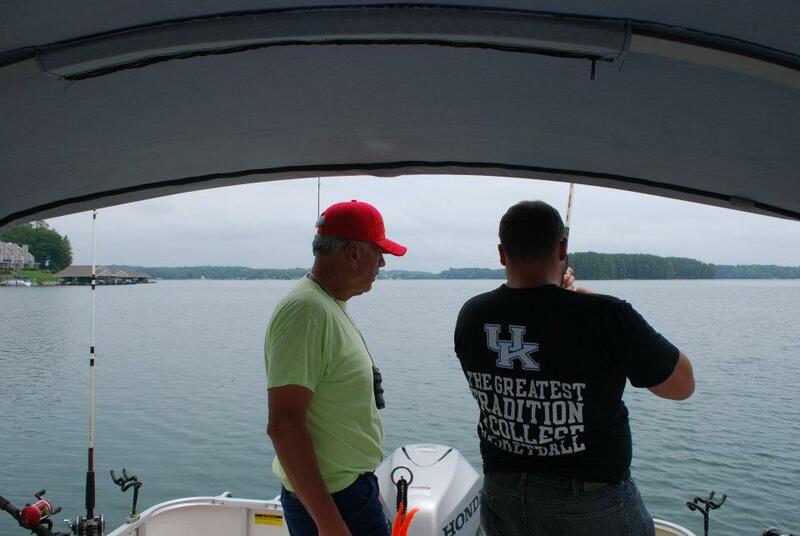 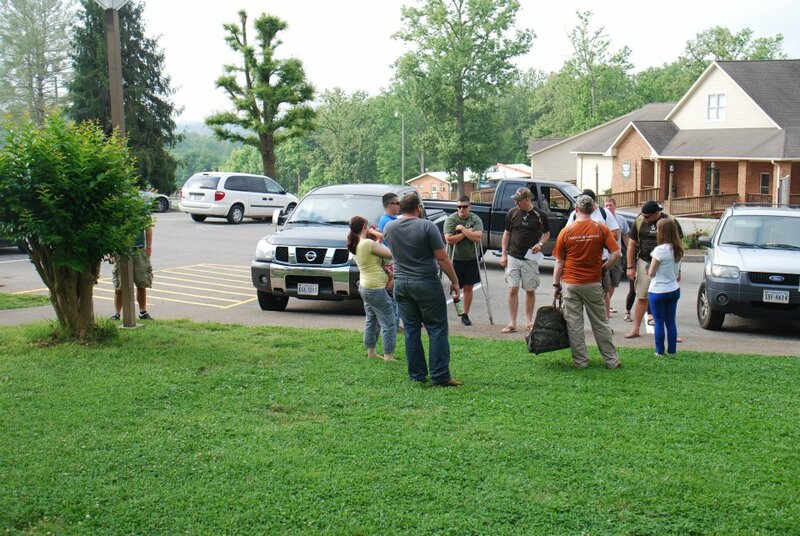 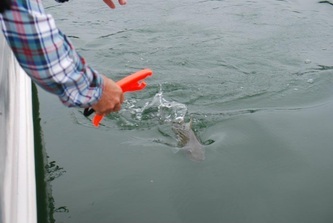 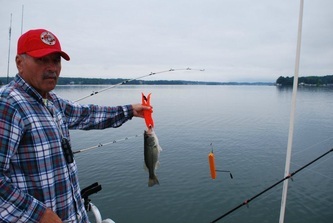 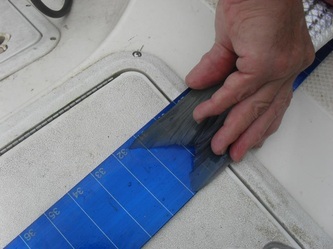 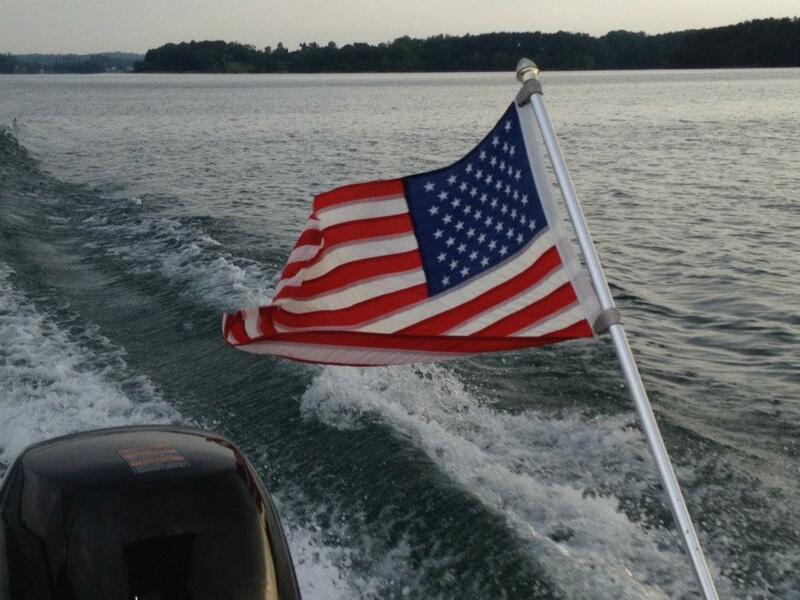 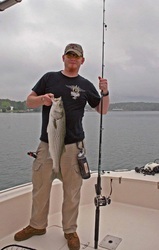 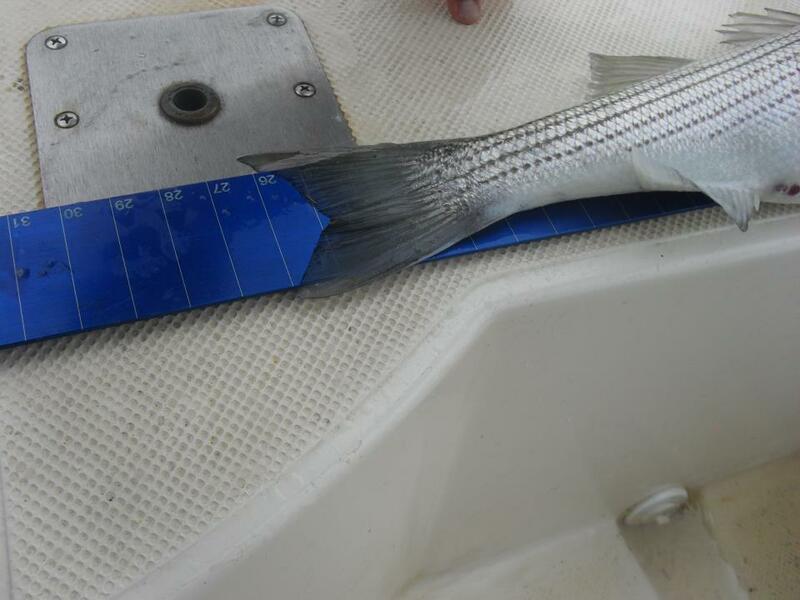 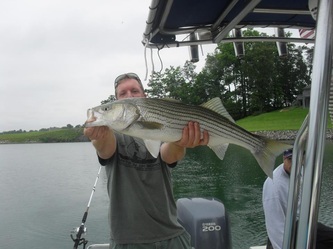 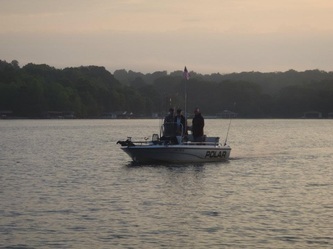 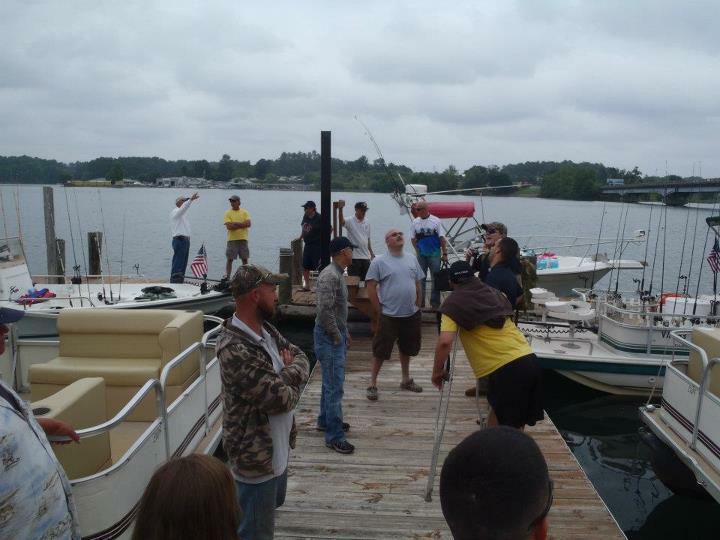 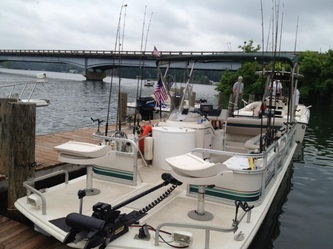 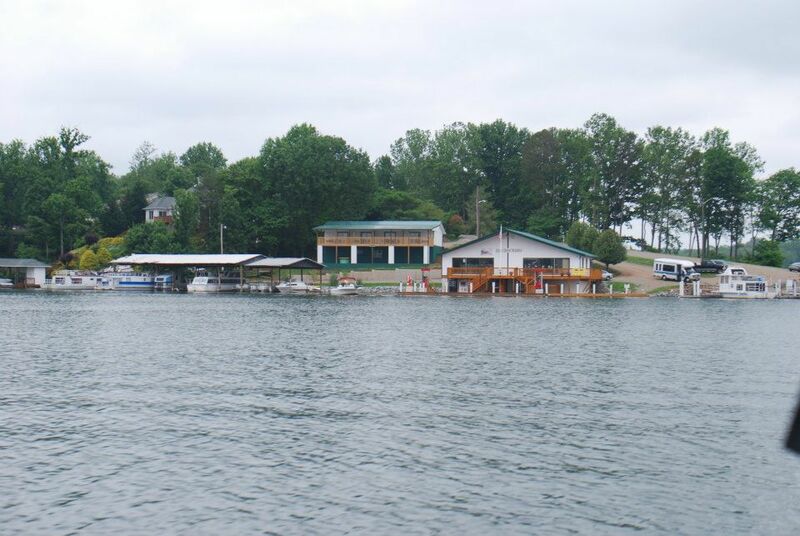 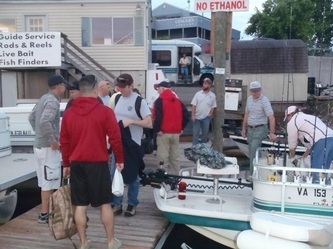 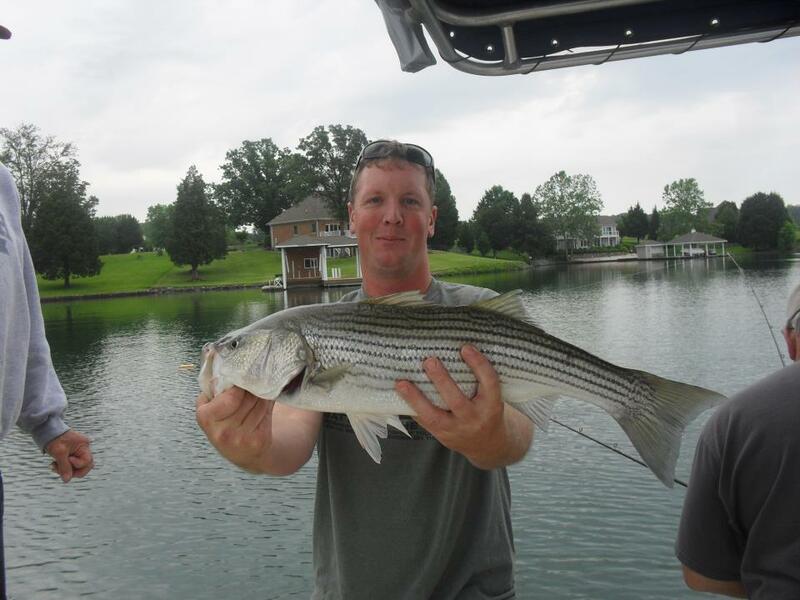 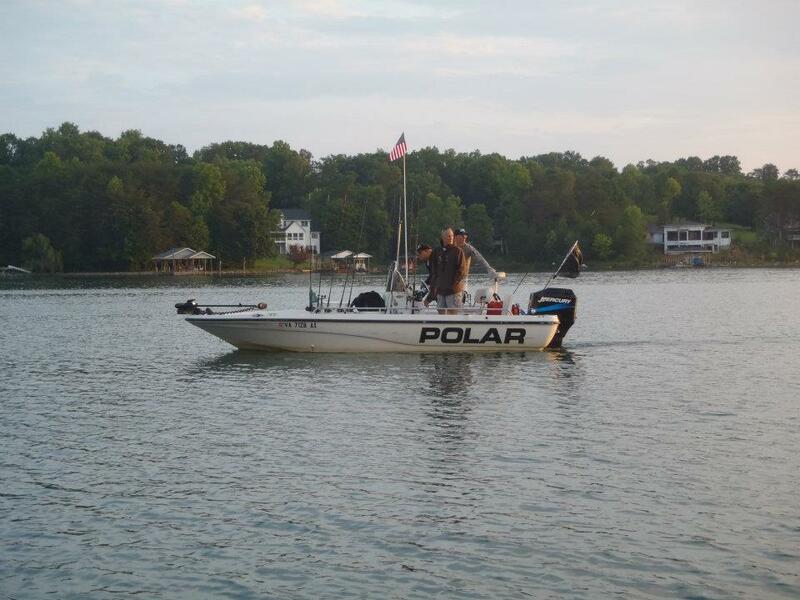 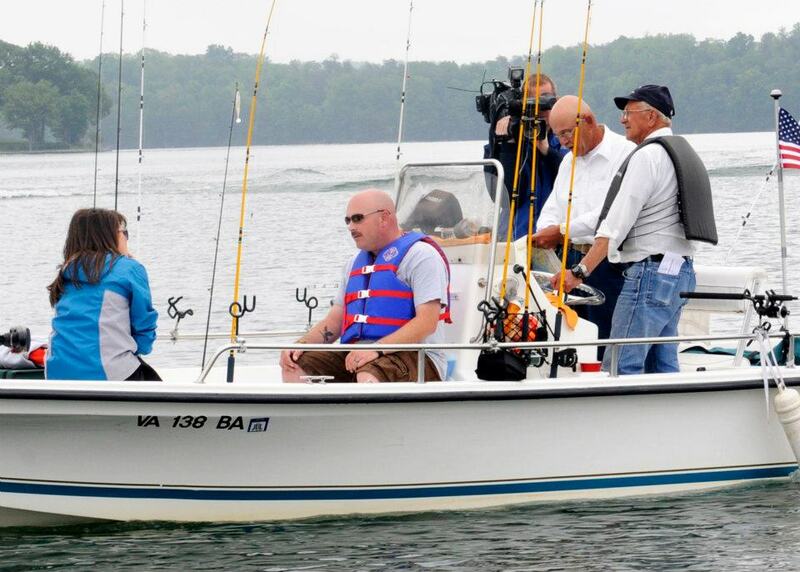 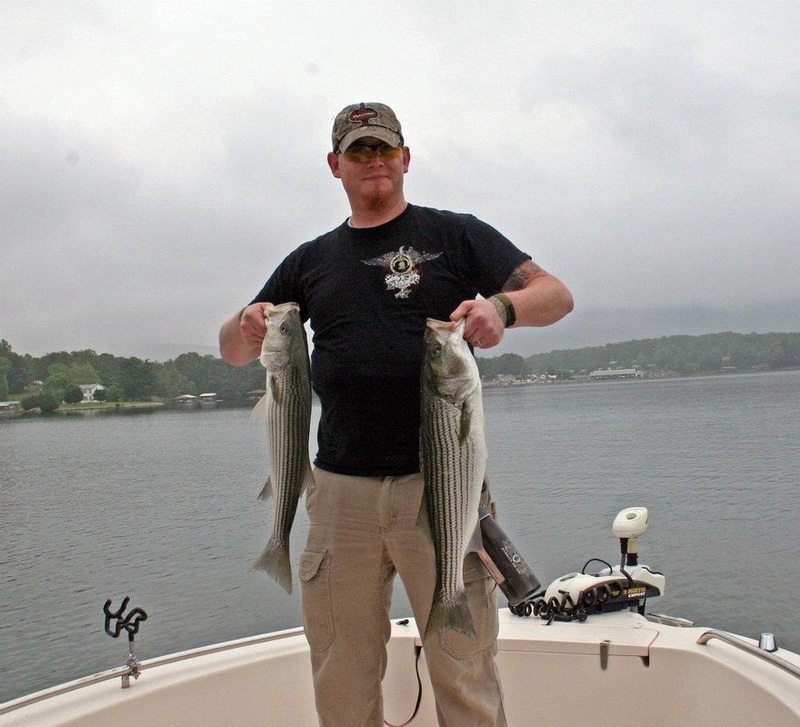 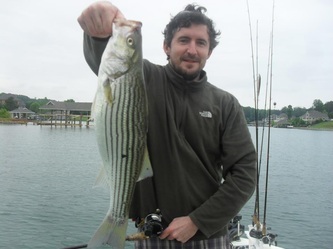 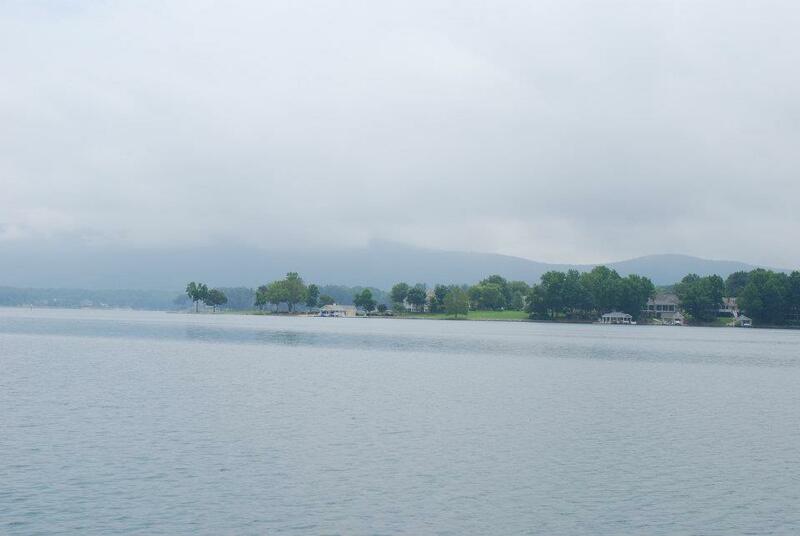 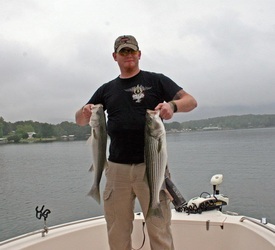 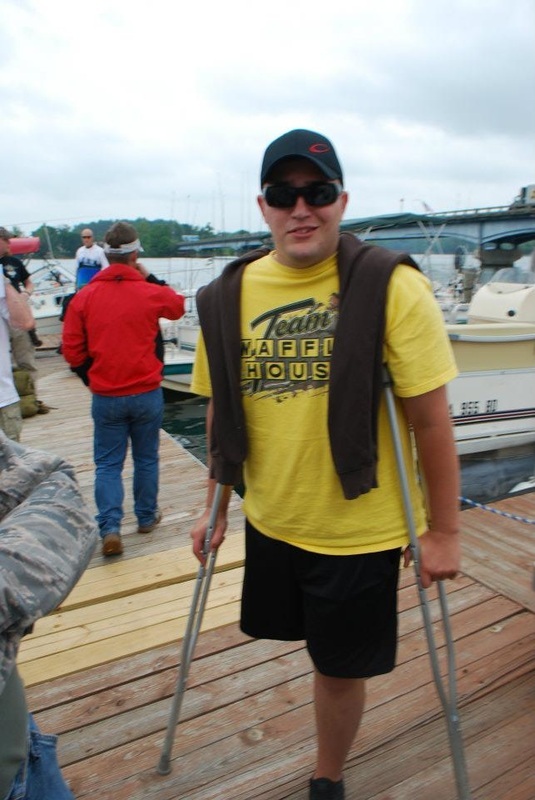 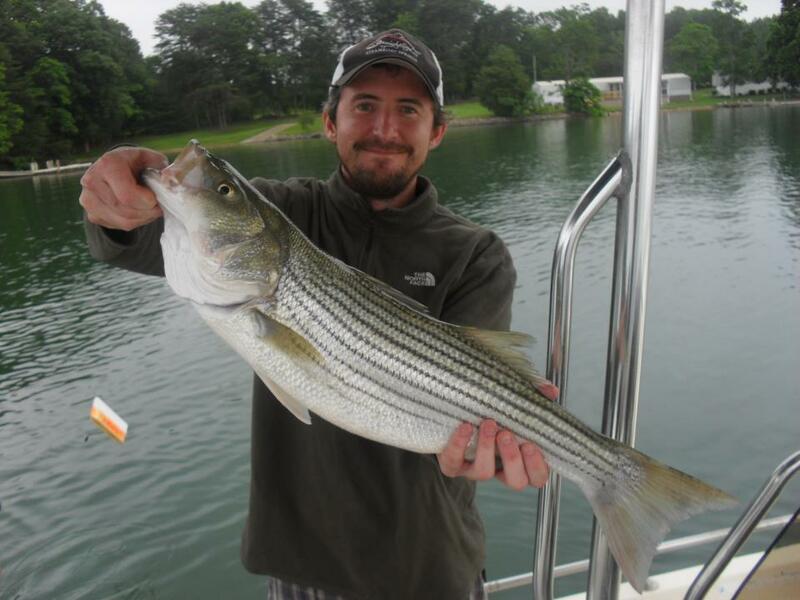 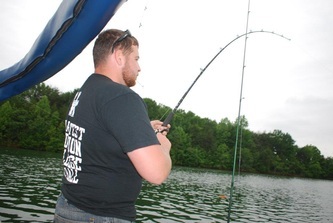 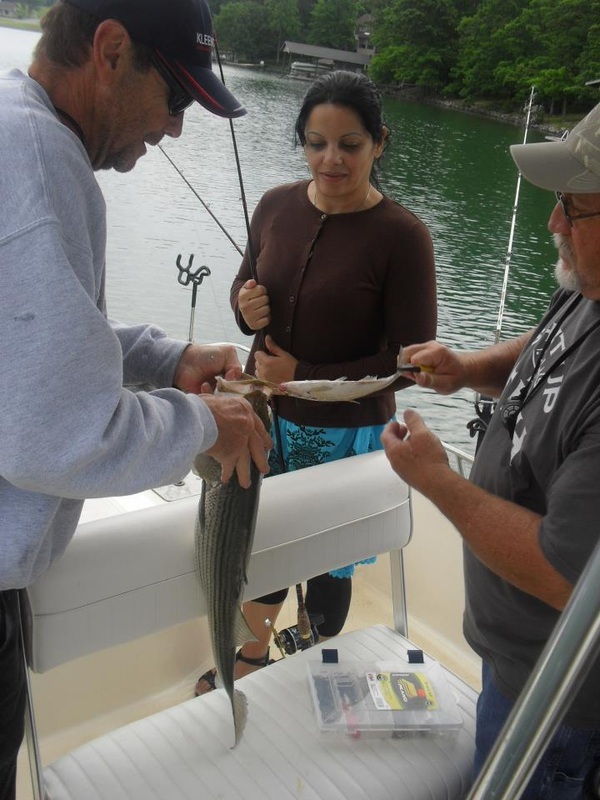 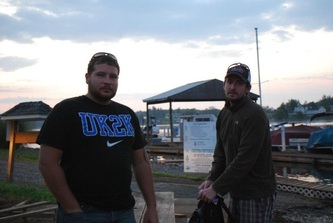 On May 24, 2012 the Smith Mountain Striper Club hosted a group of soldiers from the Freedom Alliance to a day of striper fishing on the beautiful waters of Smith Mountain Lake. 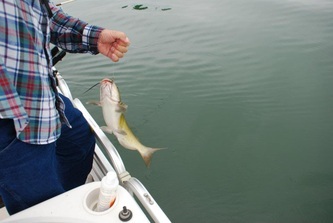 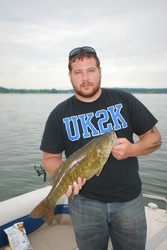 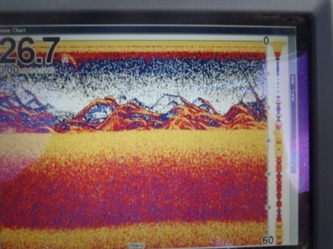 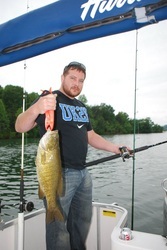 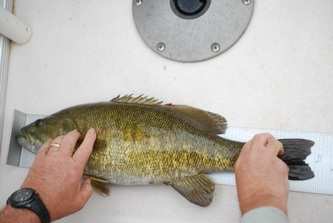 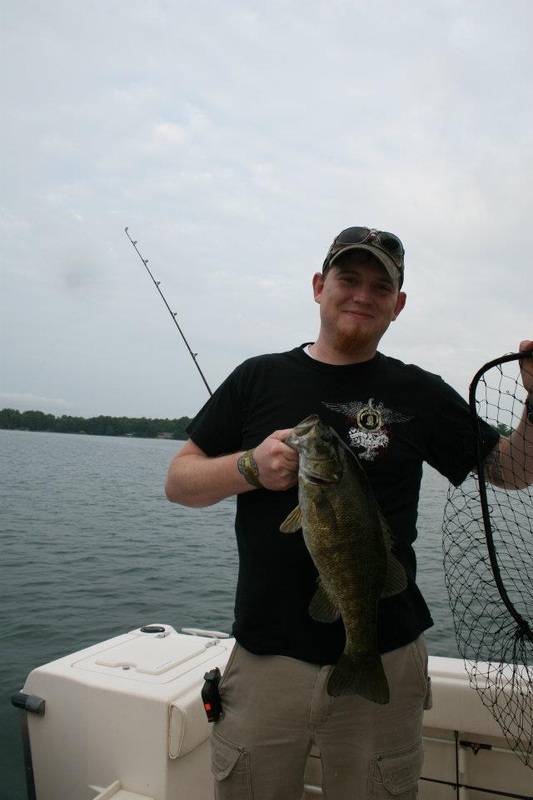 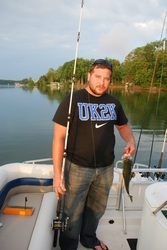 We could not have asked for a better weather day fishing wise and overall the fish cooperated as well. 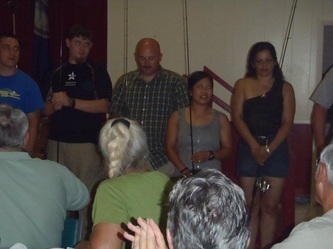 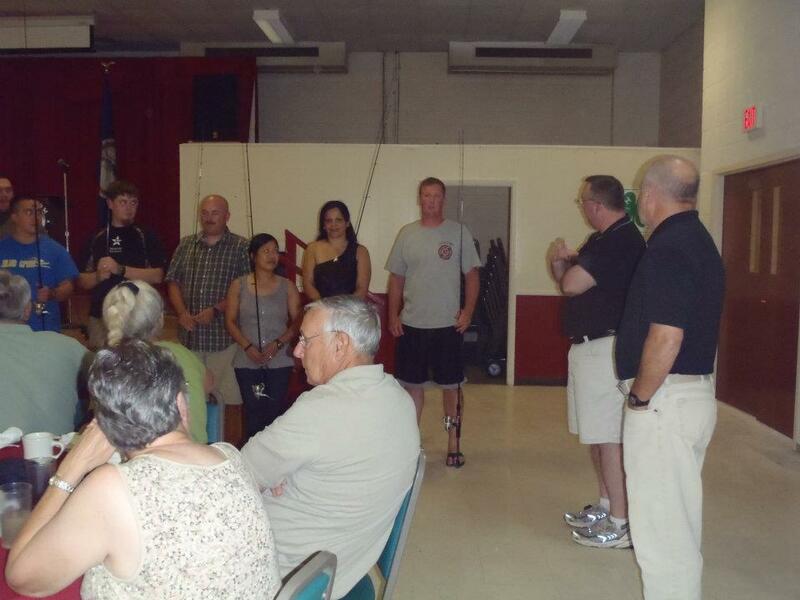 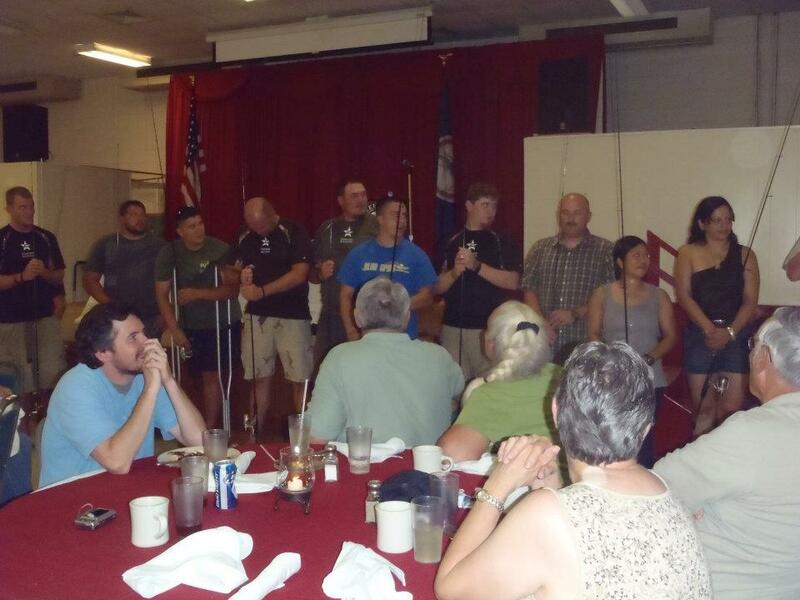 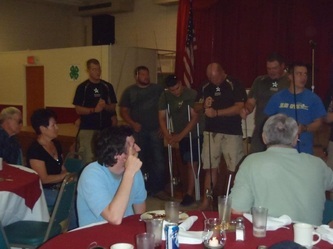 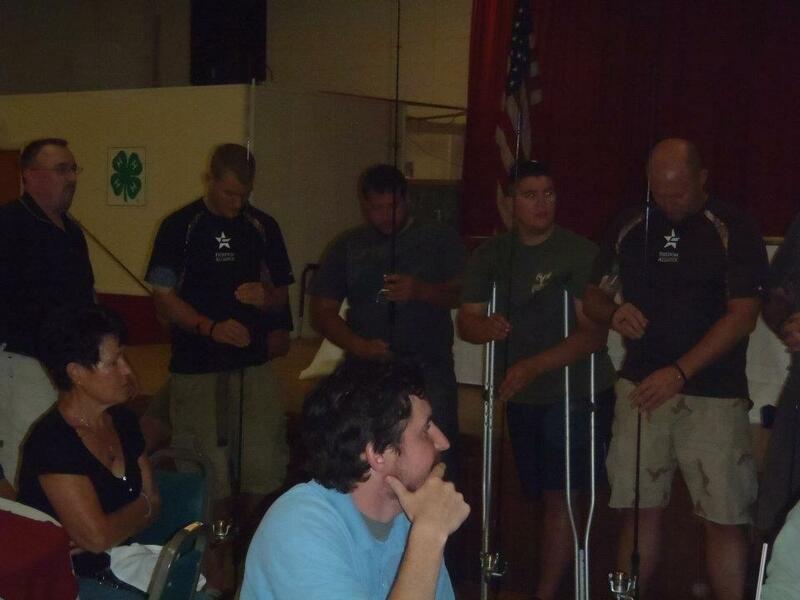 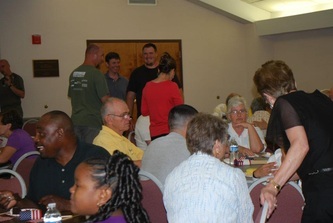 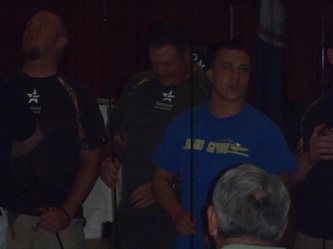 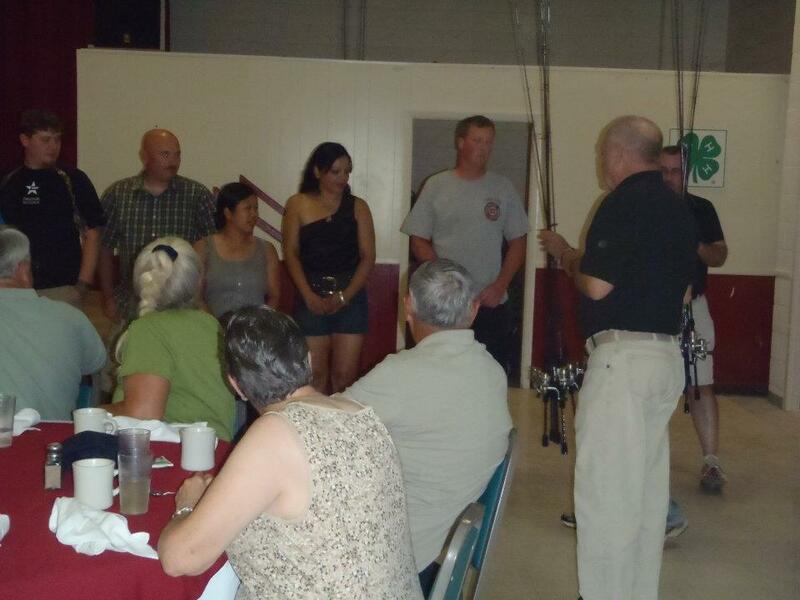 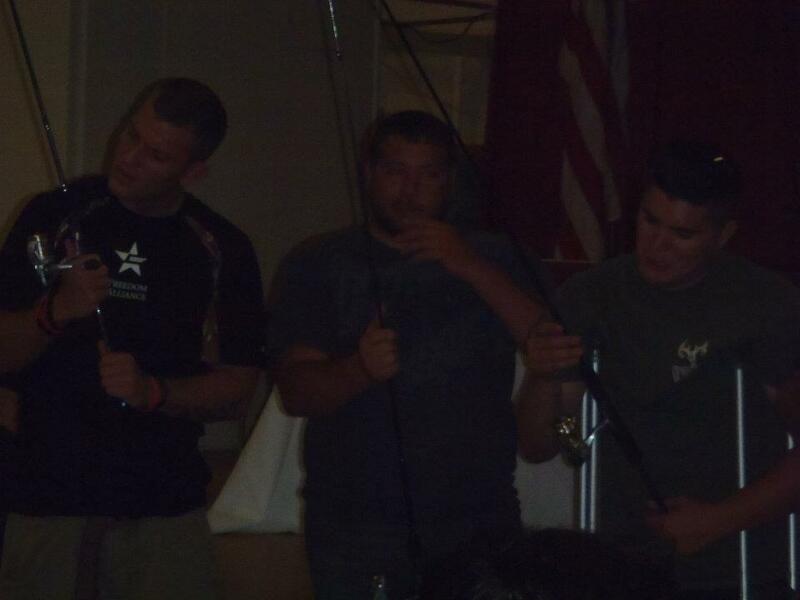 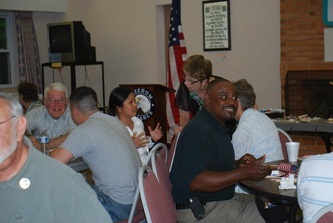 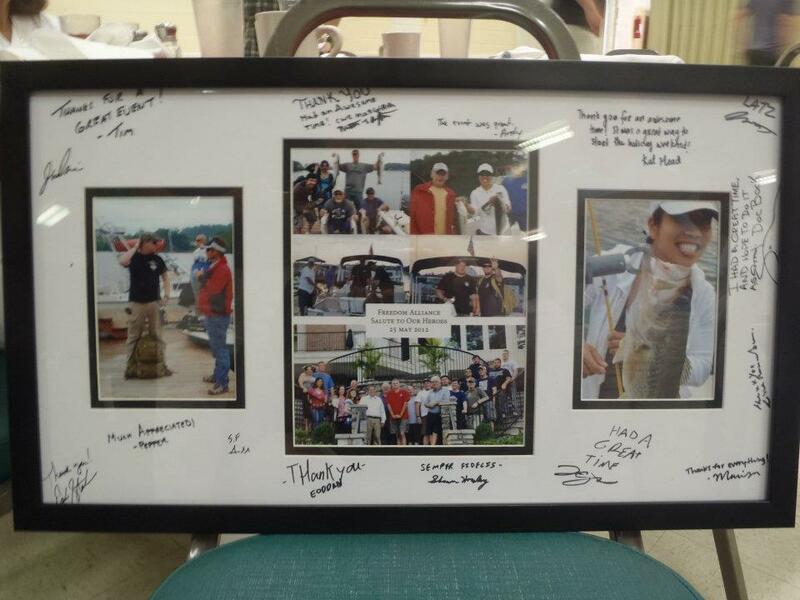 Later in the week we rejoined the troops for some social time during an appreciation dinner in which the participants were each presented with a custom fishing rod and reel so that they could take the techniques they learned and continue to enjoy fishing when they returned home. 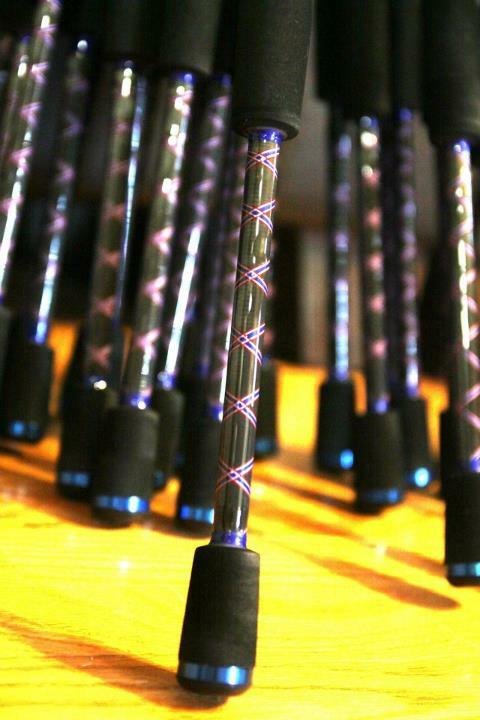 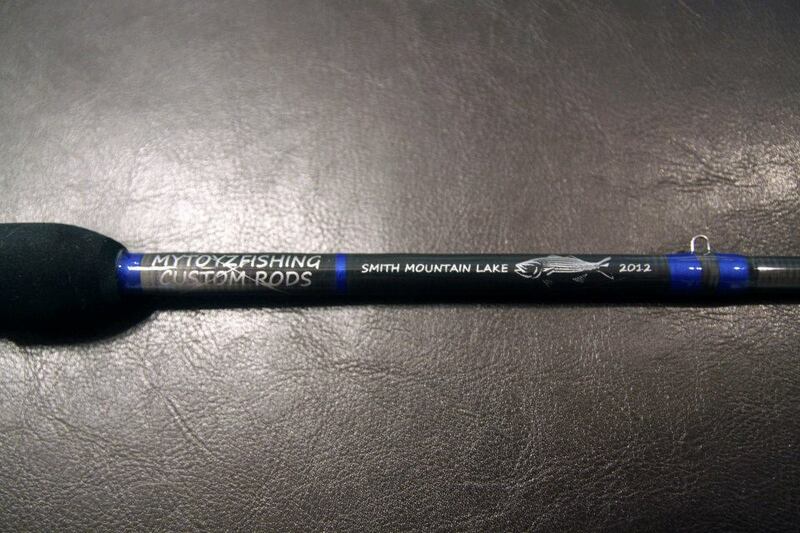 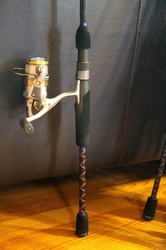 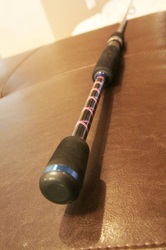 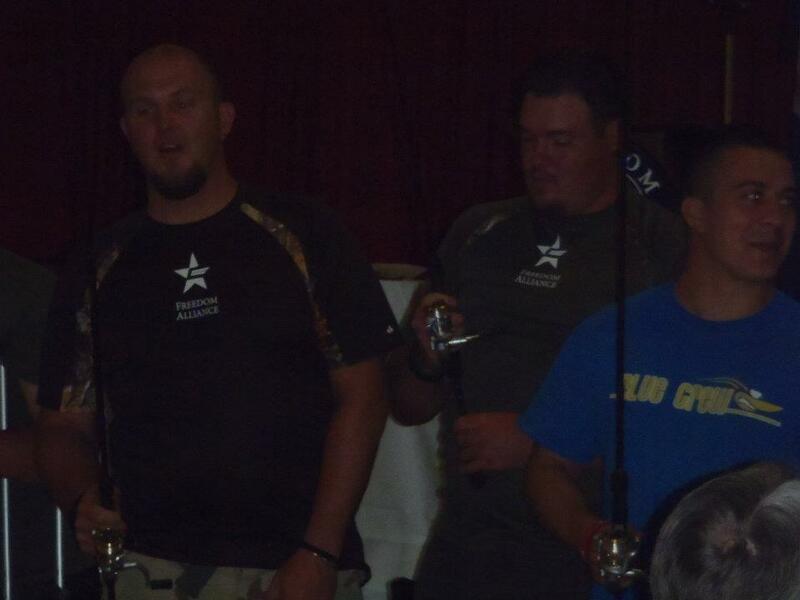 Thanks to all those that donated funds for the rod materials and especially to Mark Melius of MyToyzFishing Custom Rods for the donation of his time and monies to craft the rods. 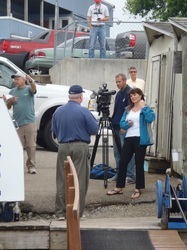 WLSL-10 came out to document some of the day's activities. 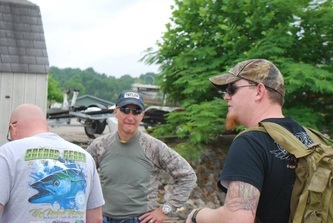 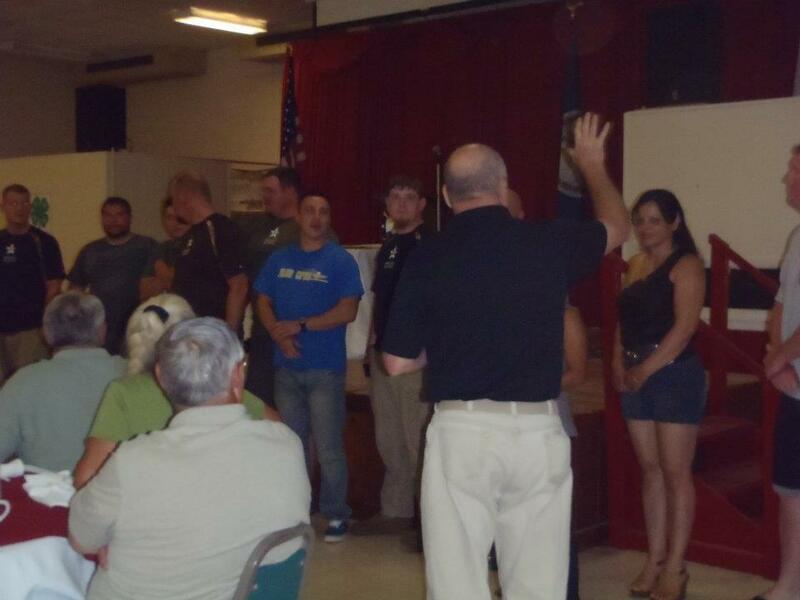 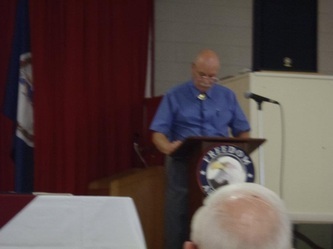 Members Joel & Rudy were captured alongside Marine Shawn Horsley during a profile of the event.